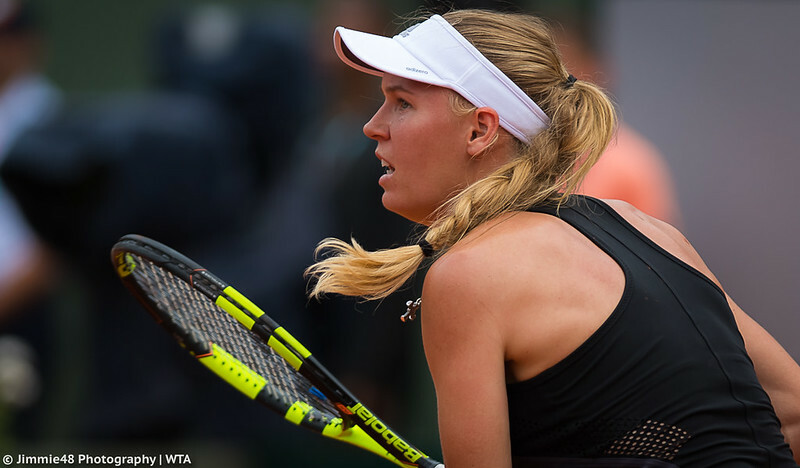 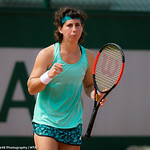 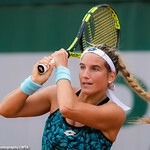 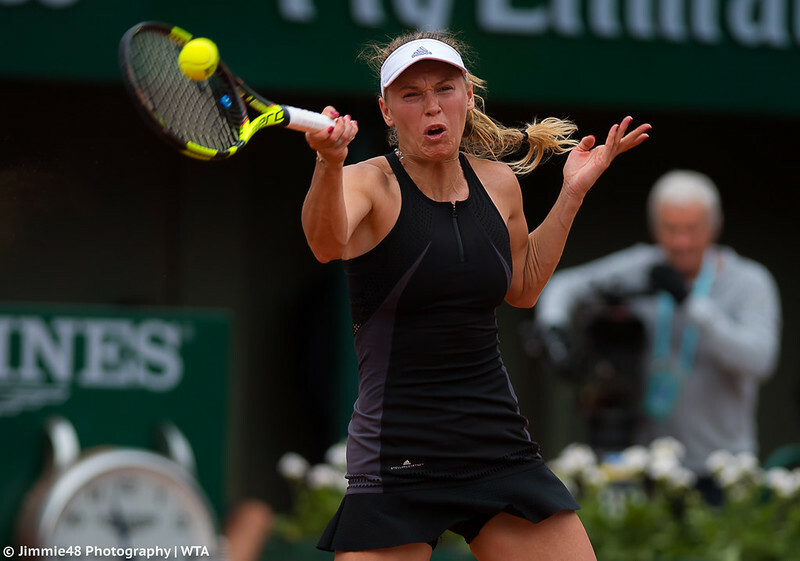 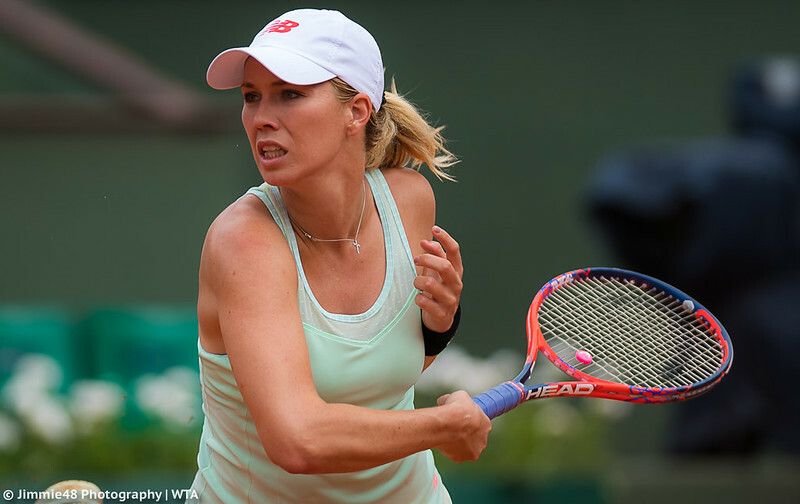 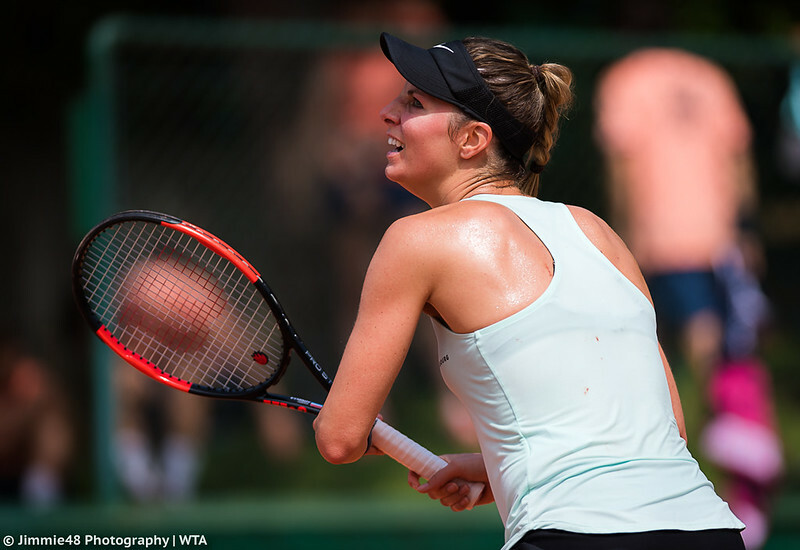 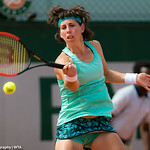 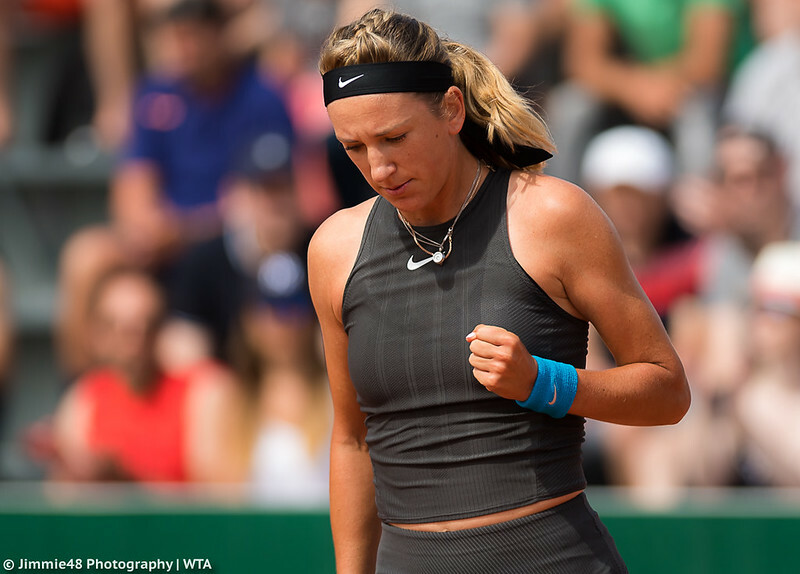 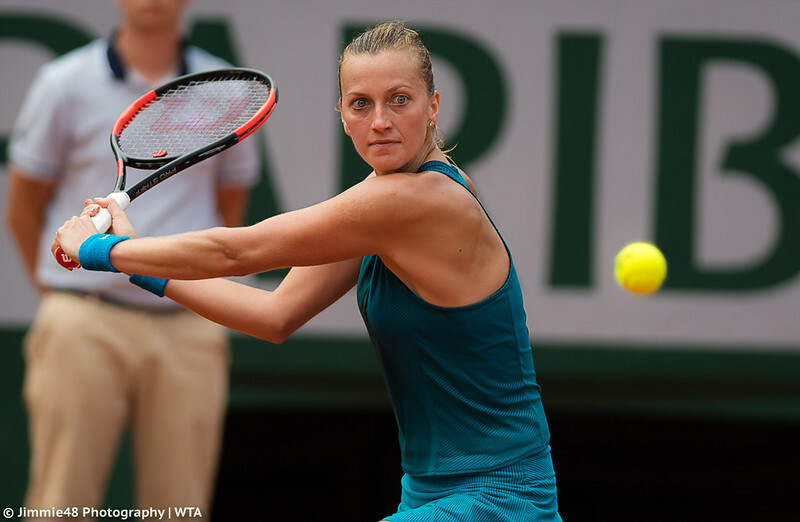 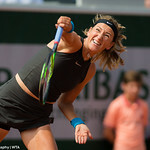 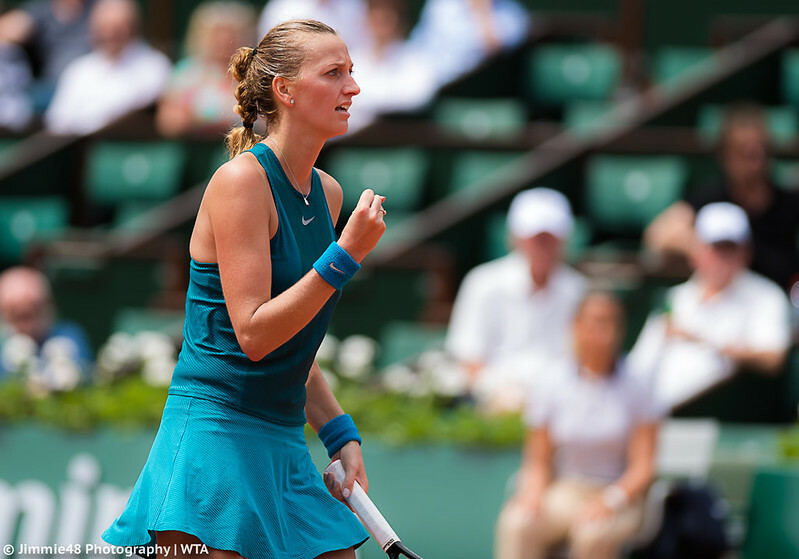 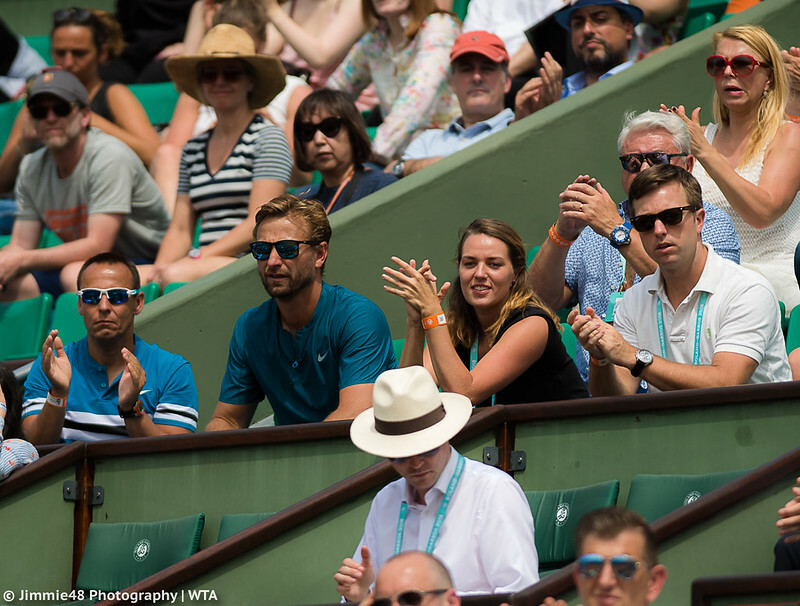 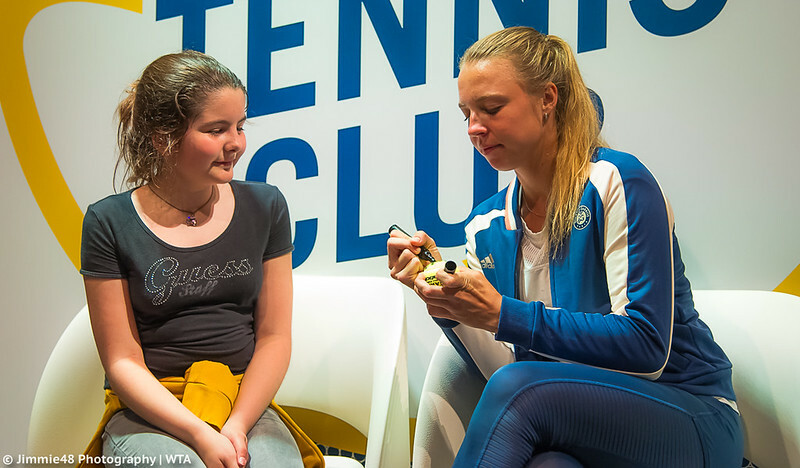 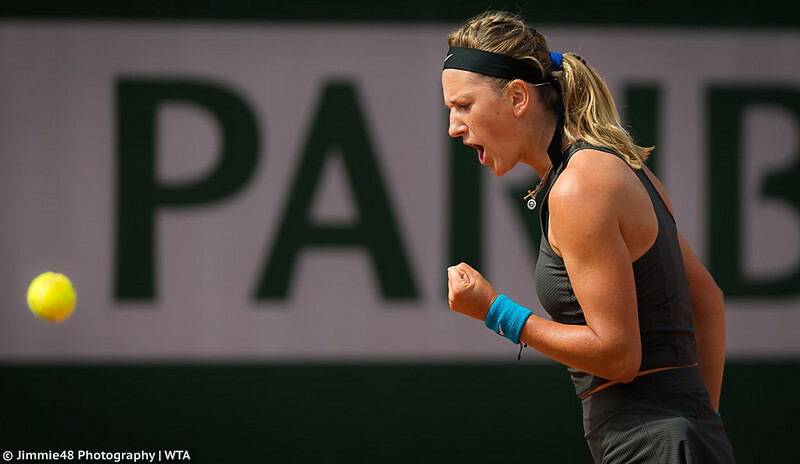 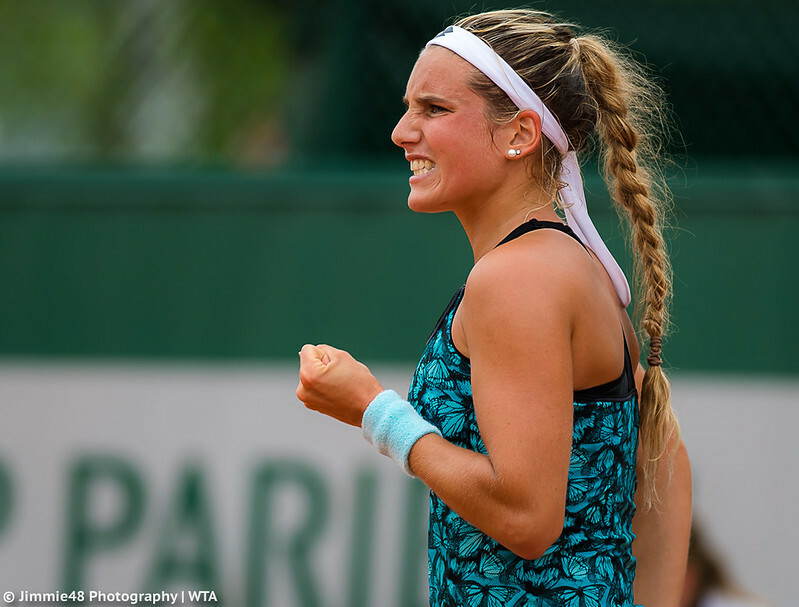 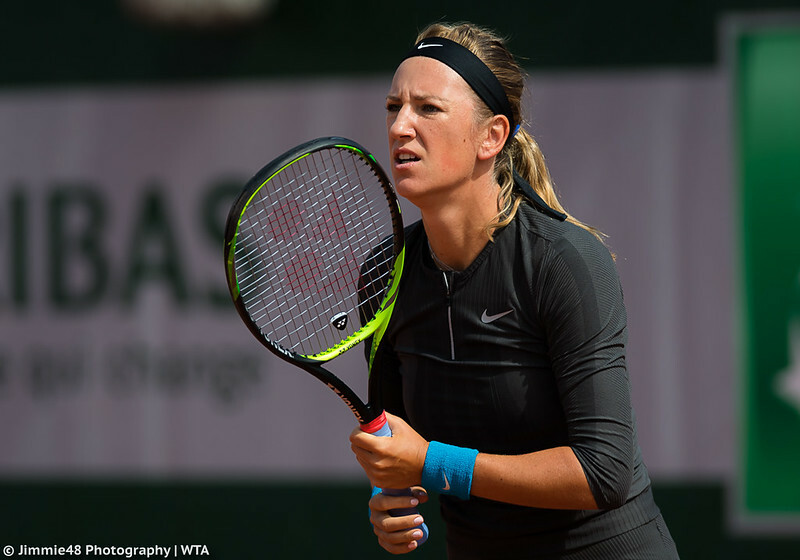 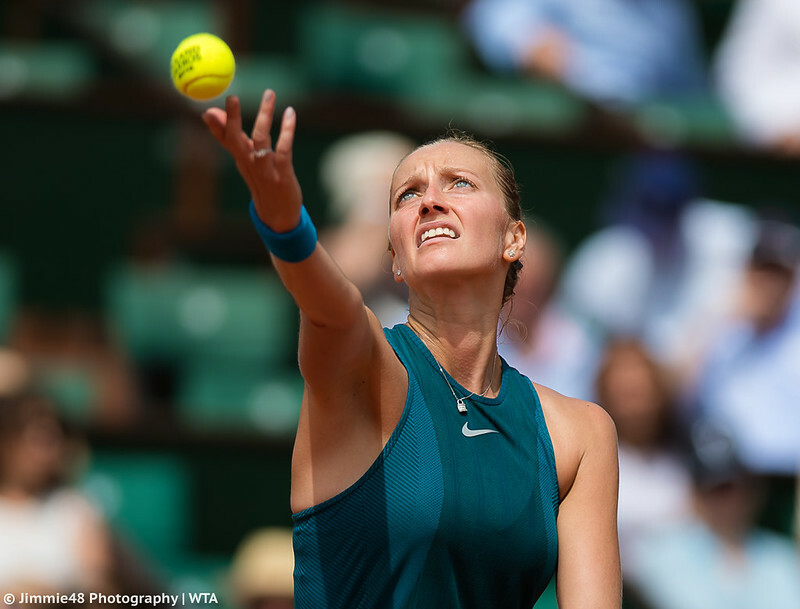 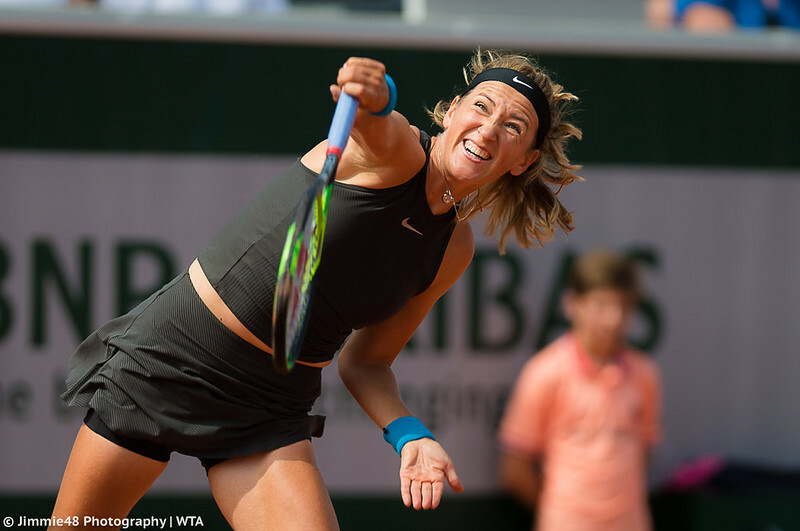 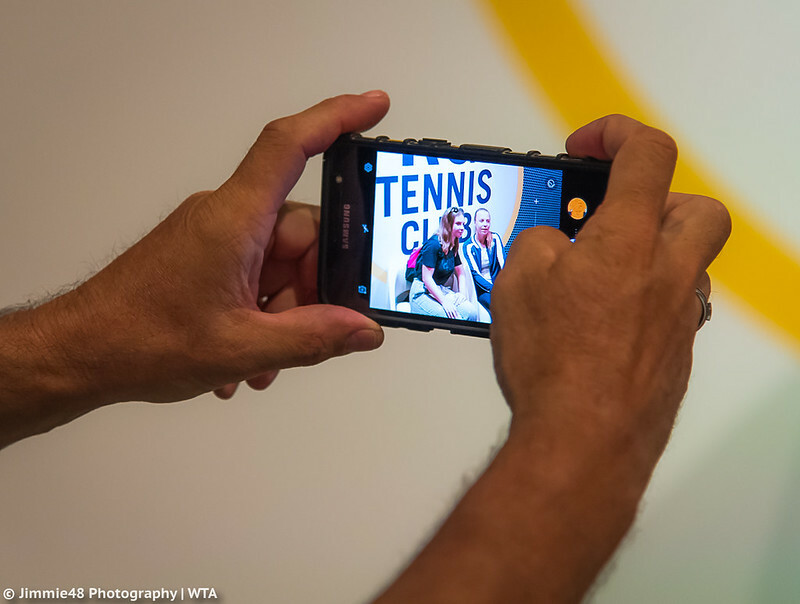 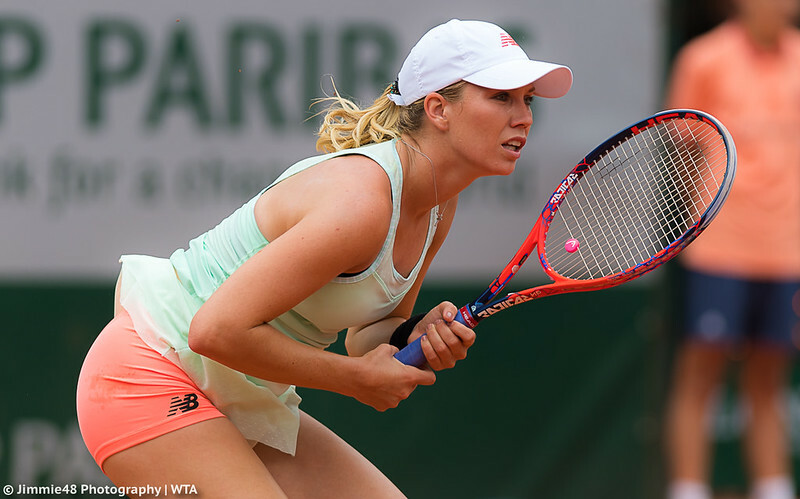 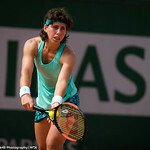 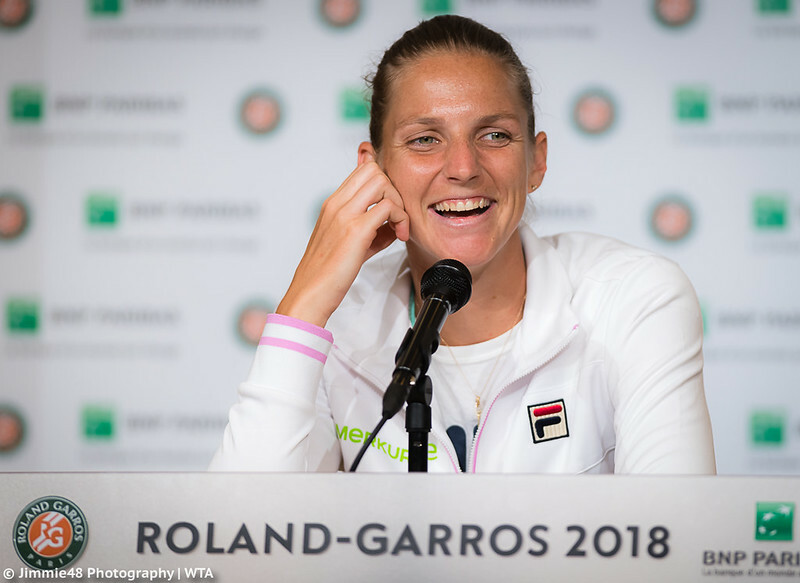 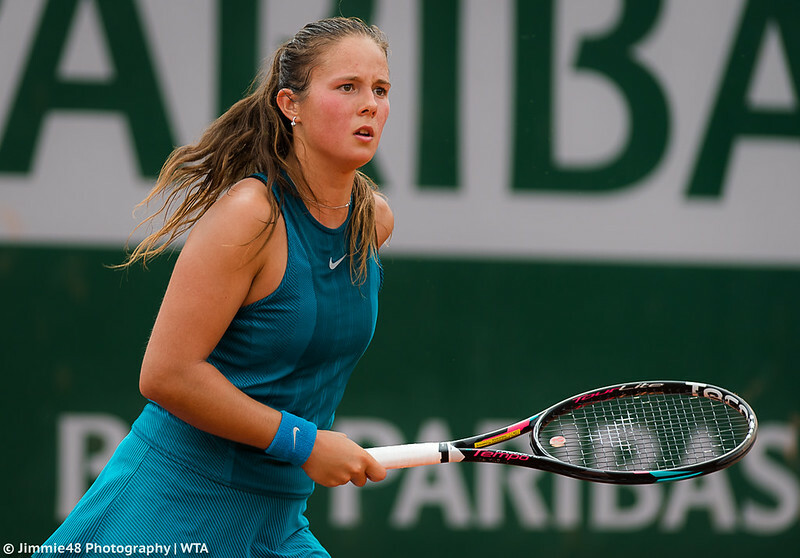 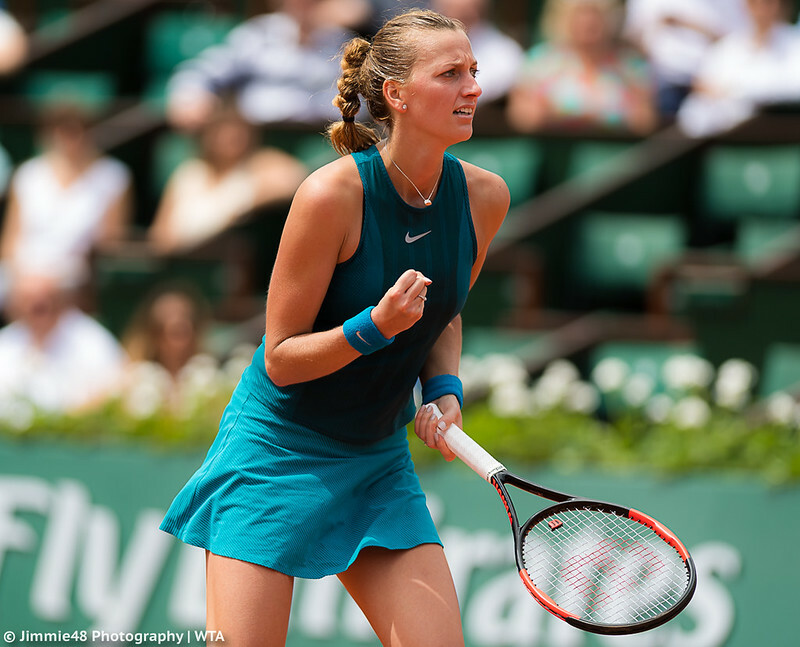 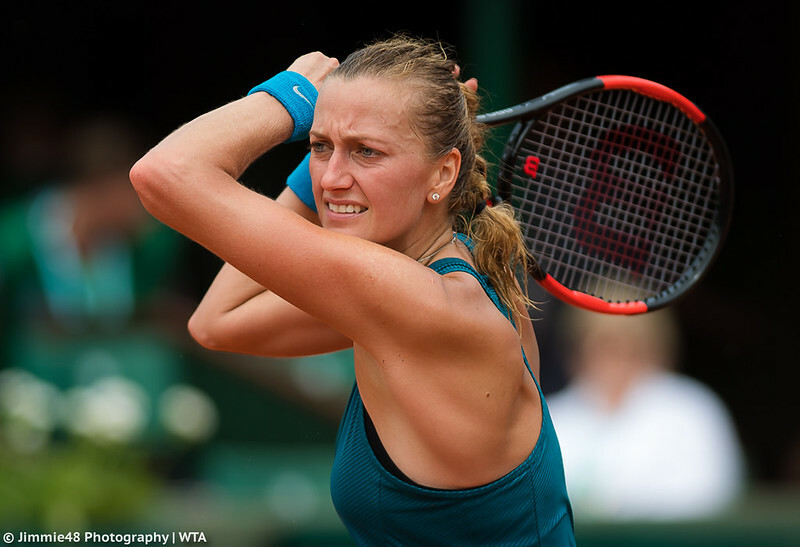 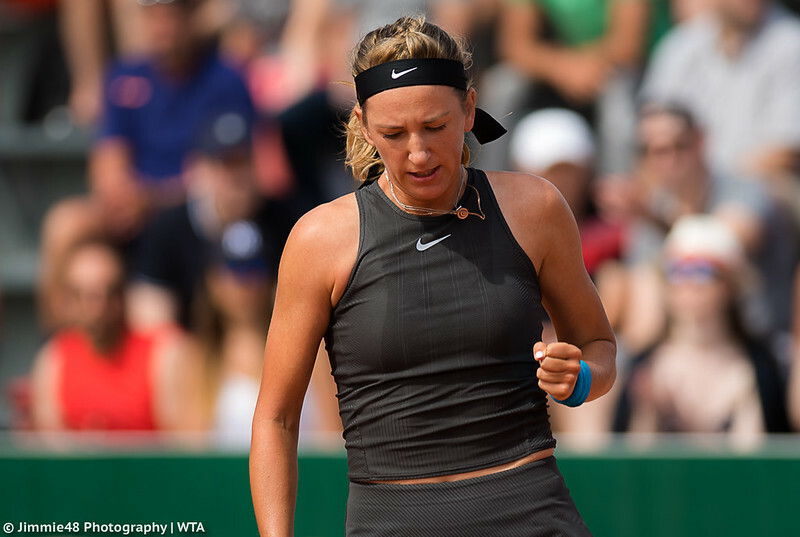 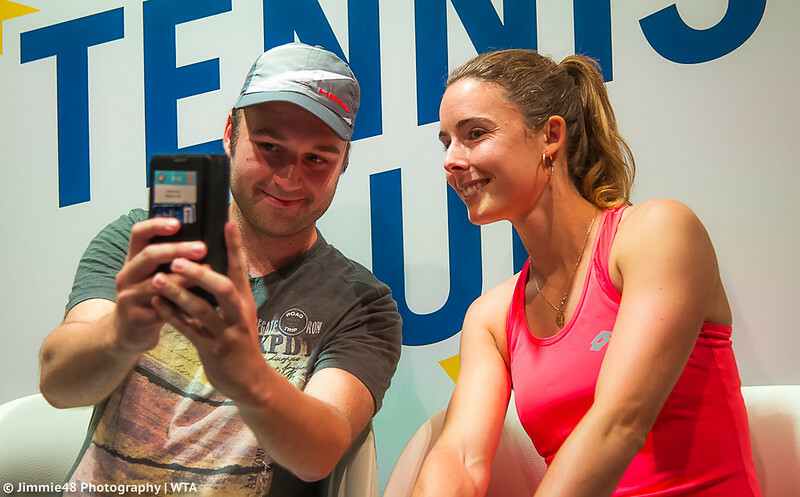 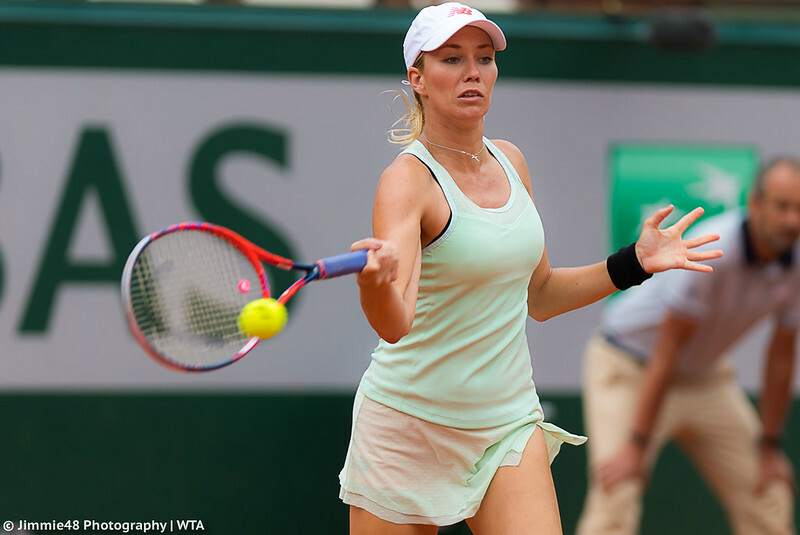 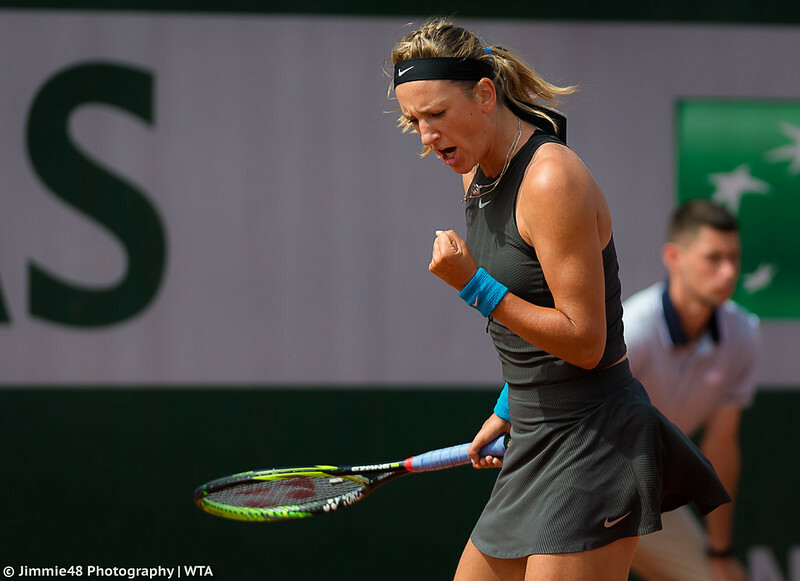 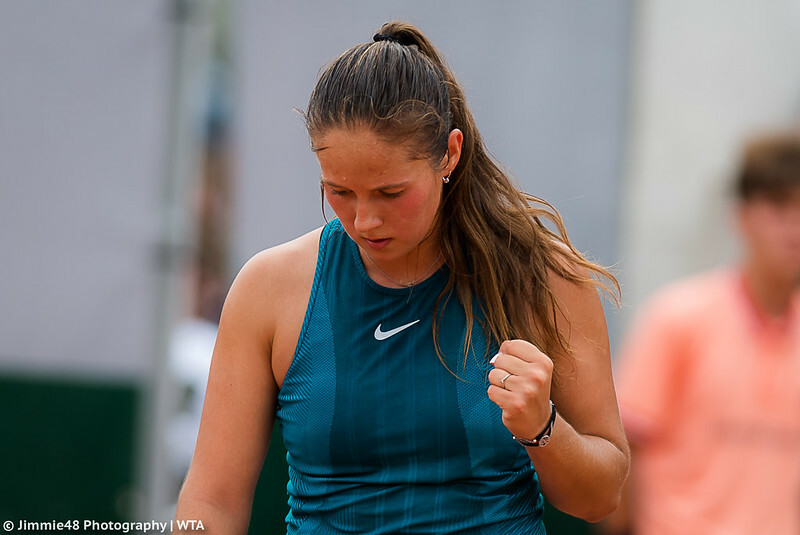 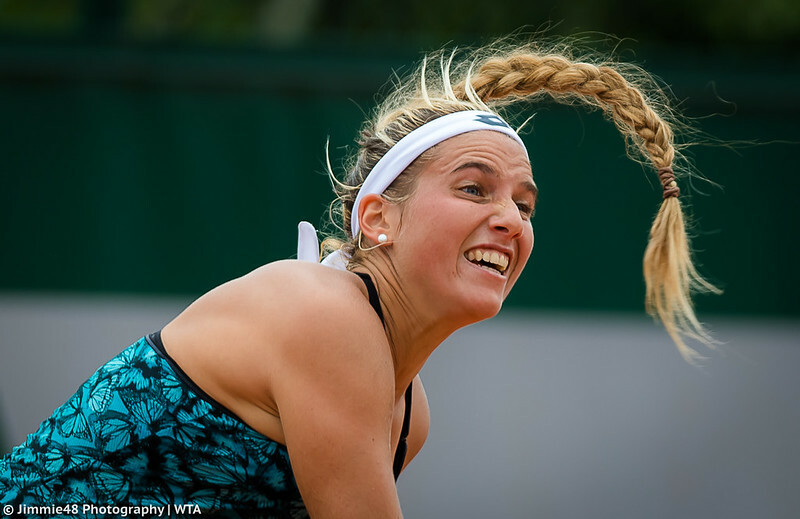 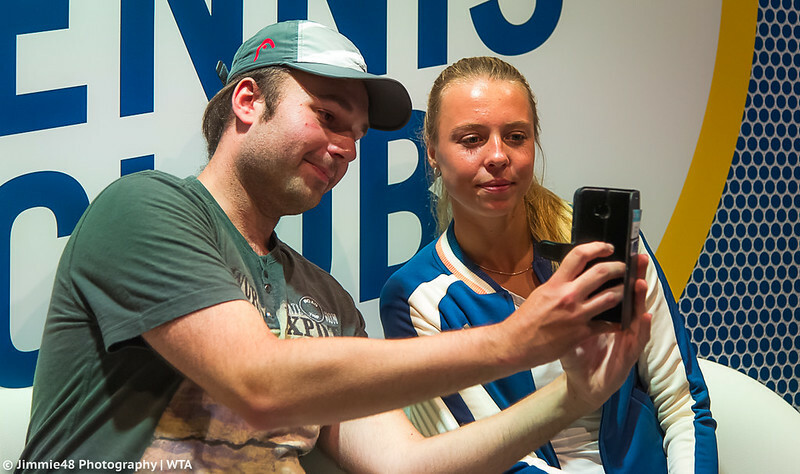 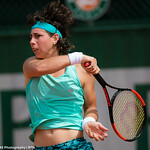 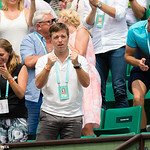 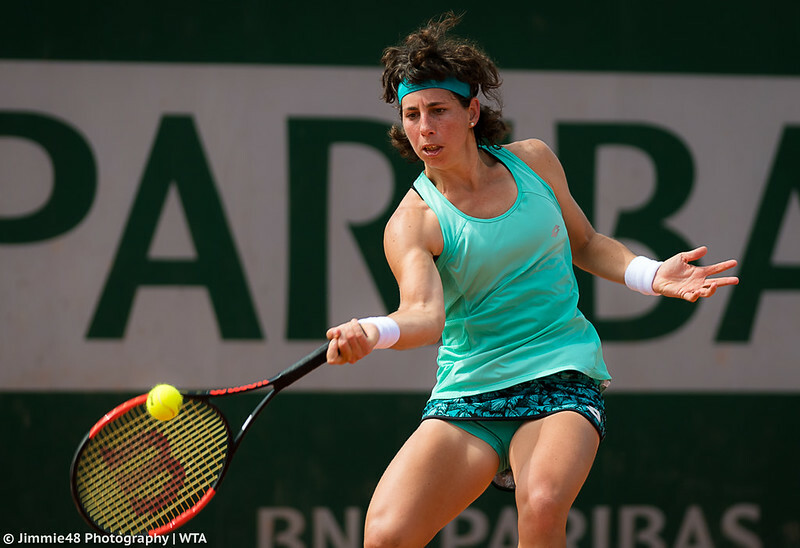 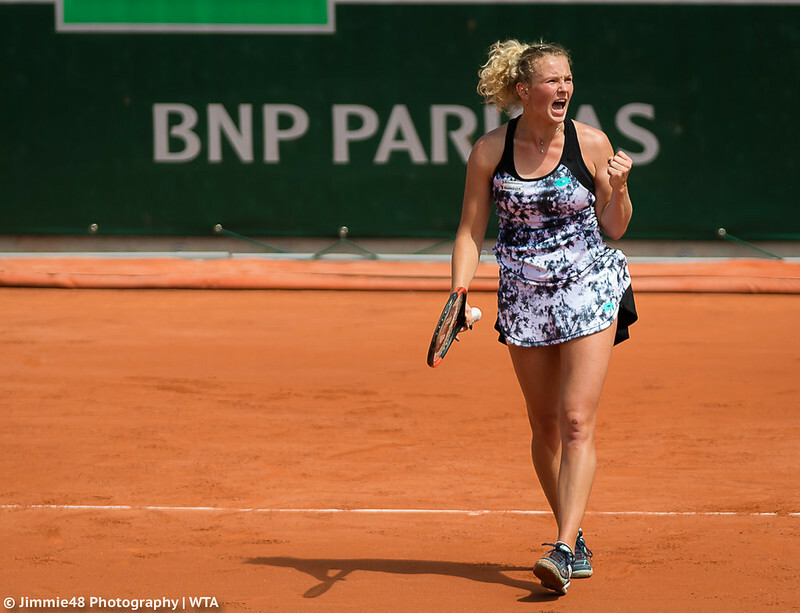 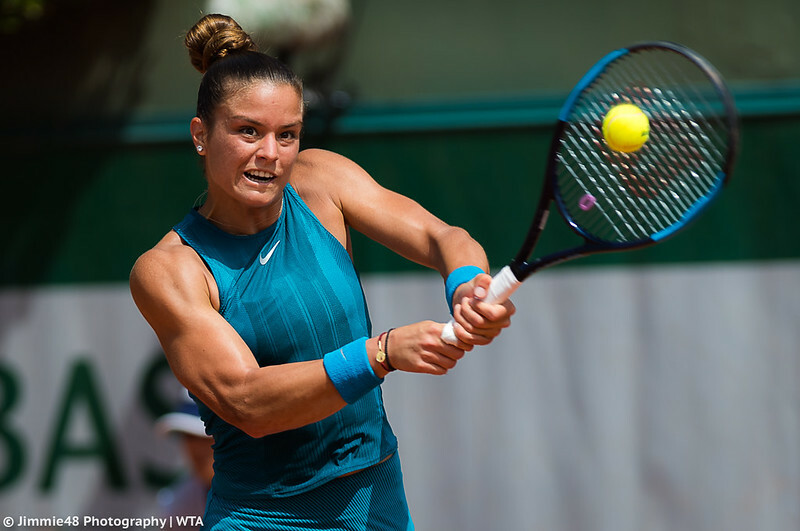 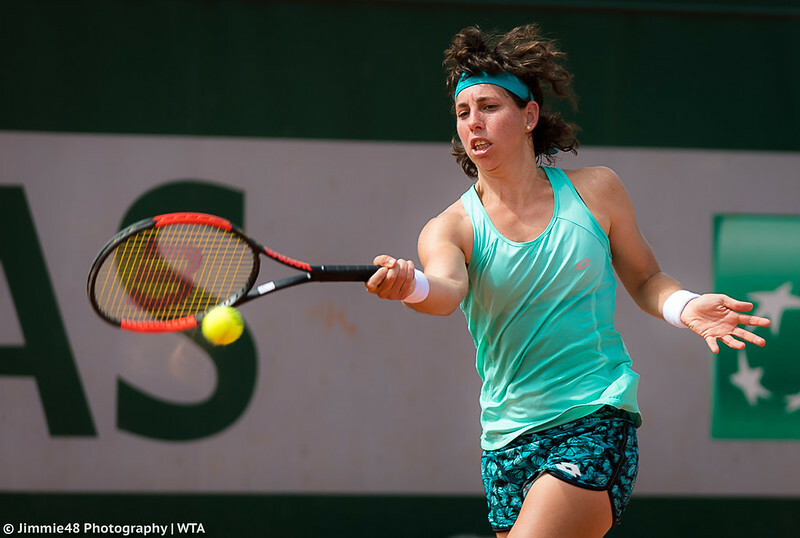 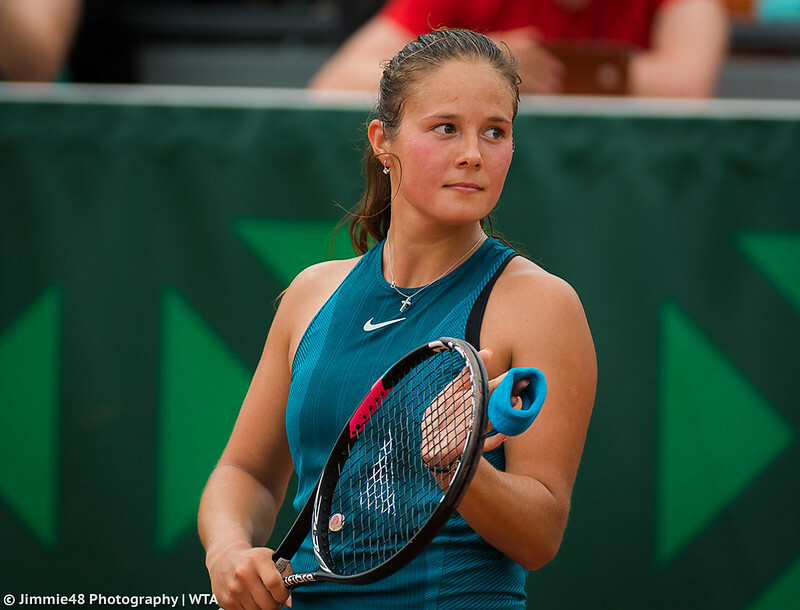 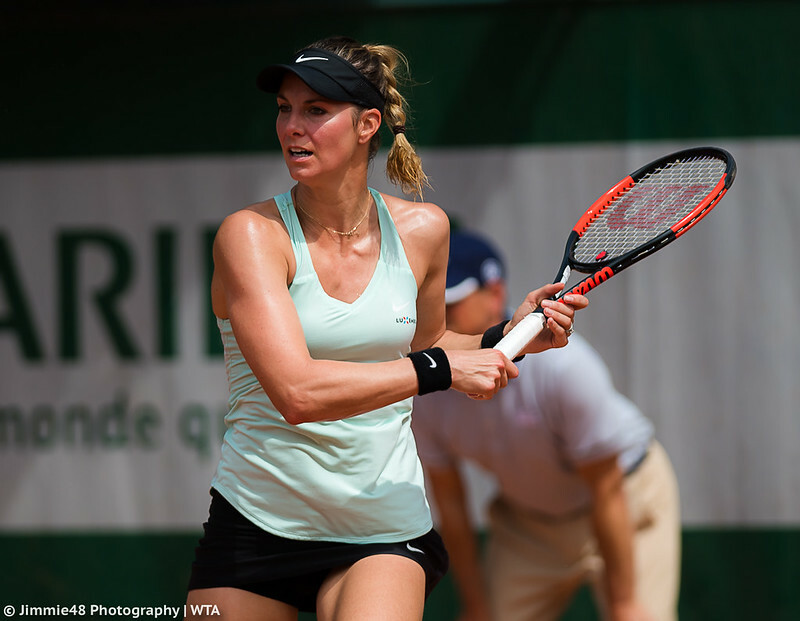 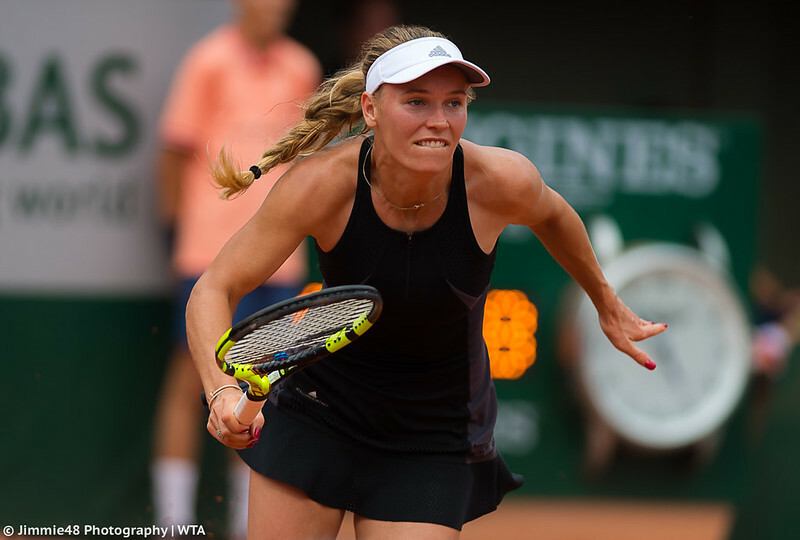 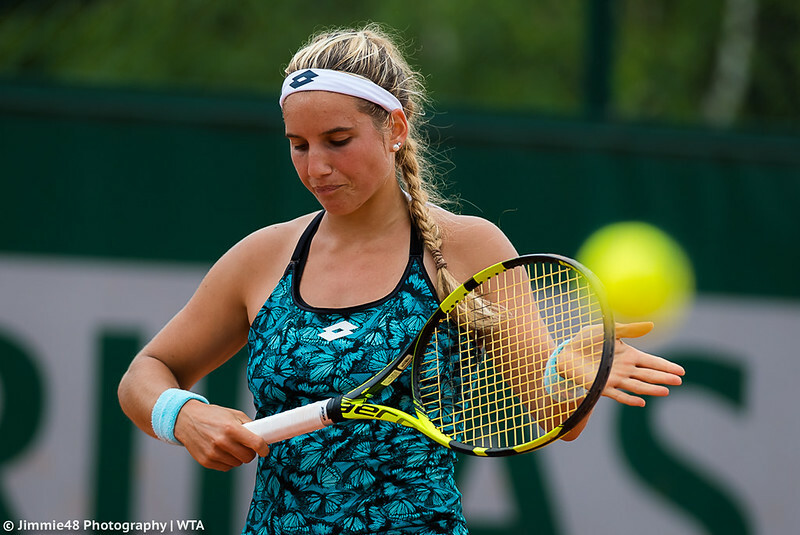 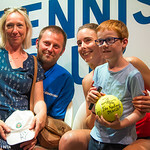 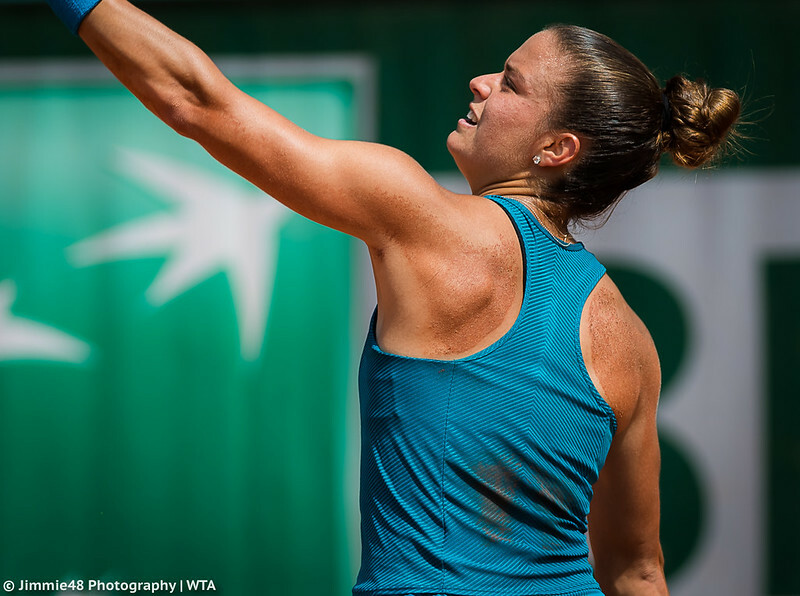 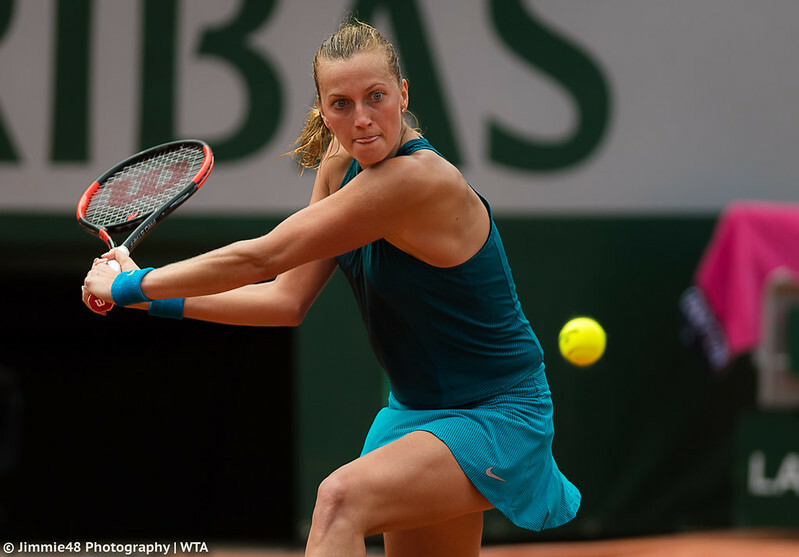 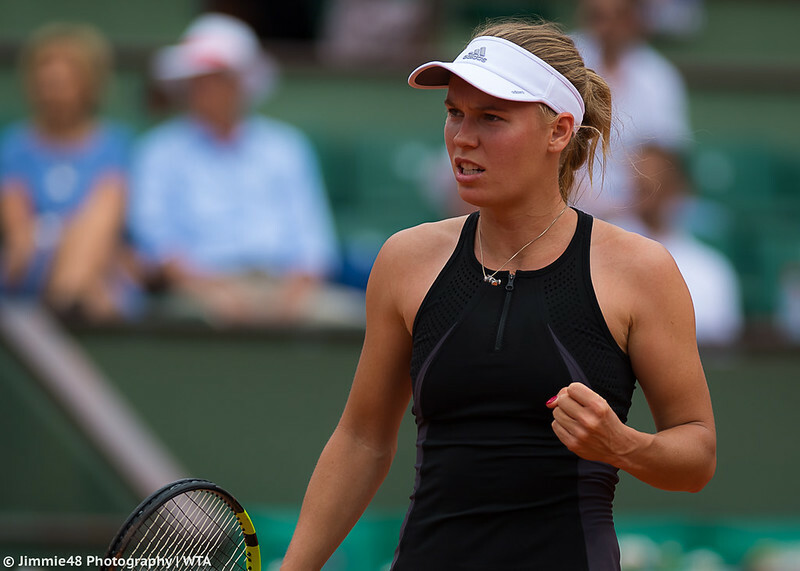 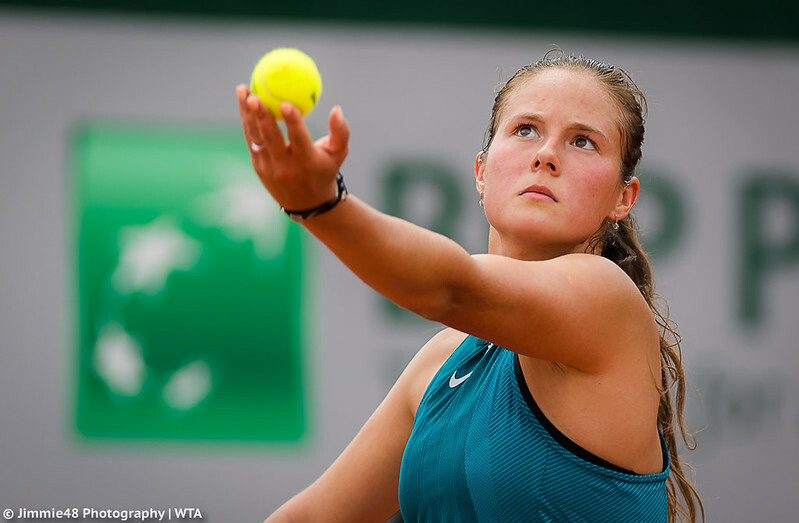 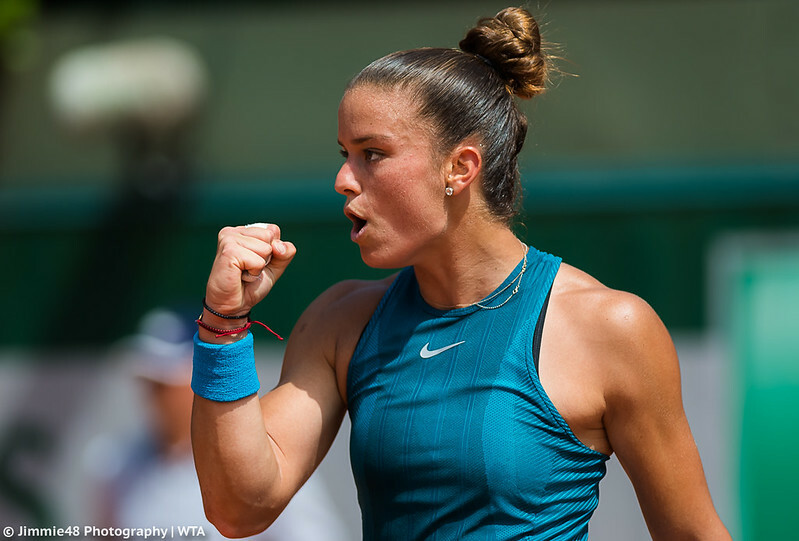 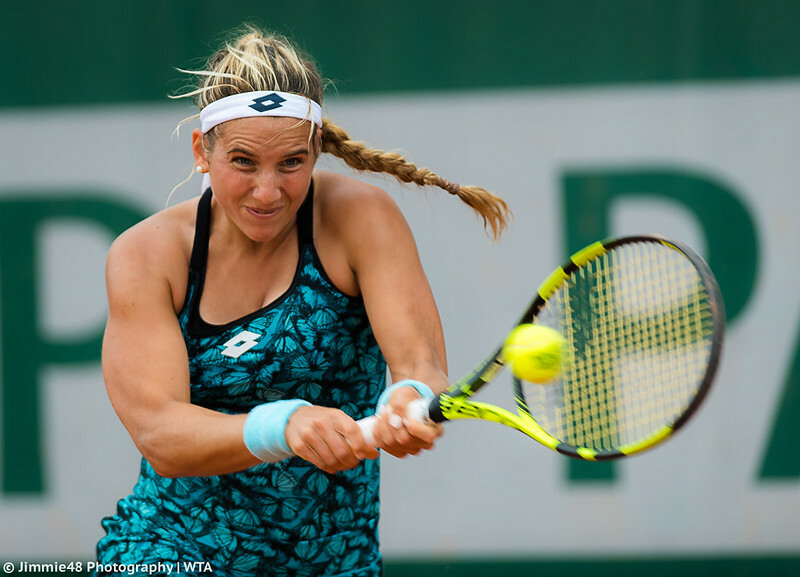 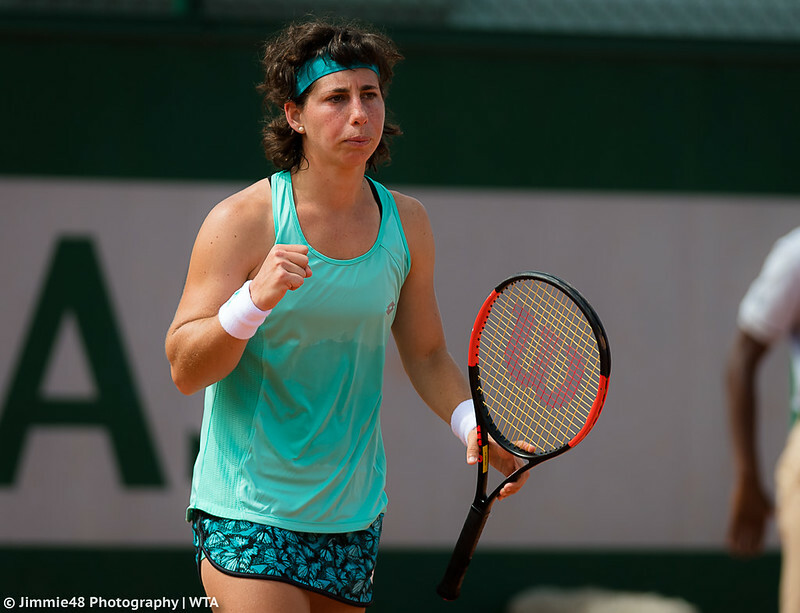 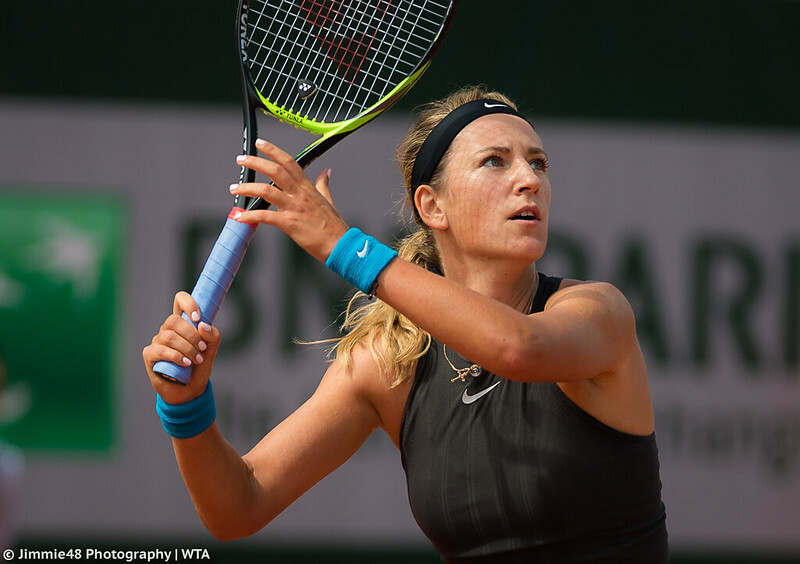 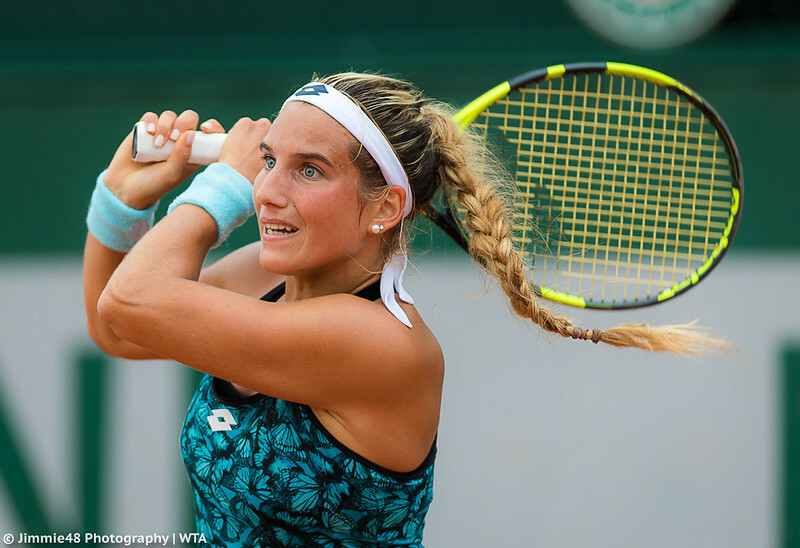 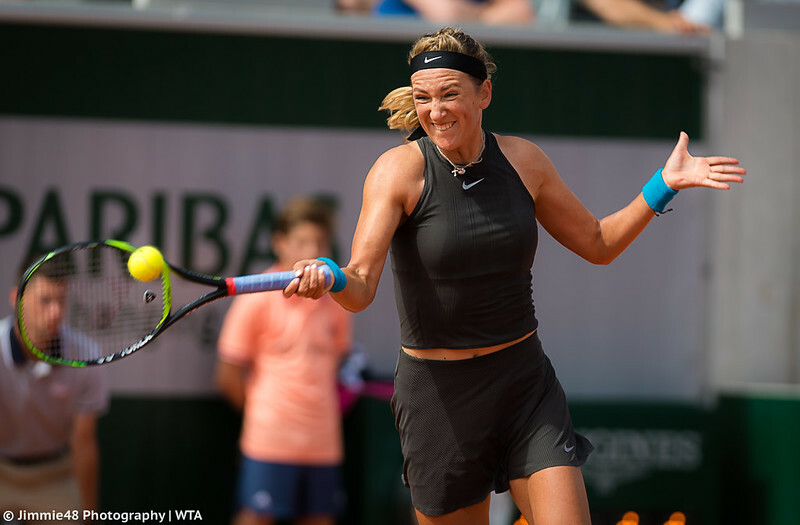 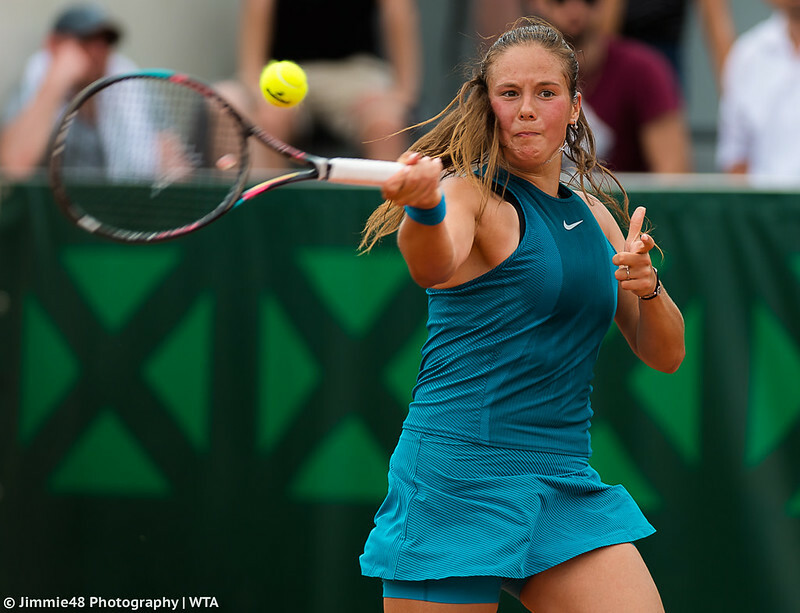 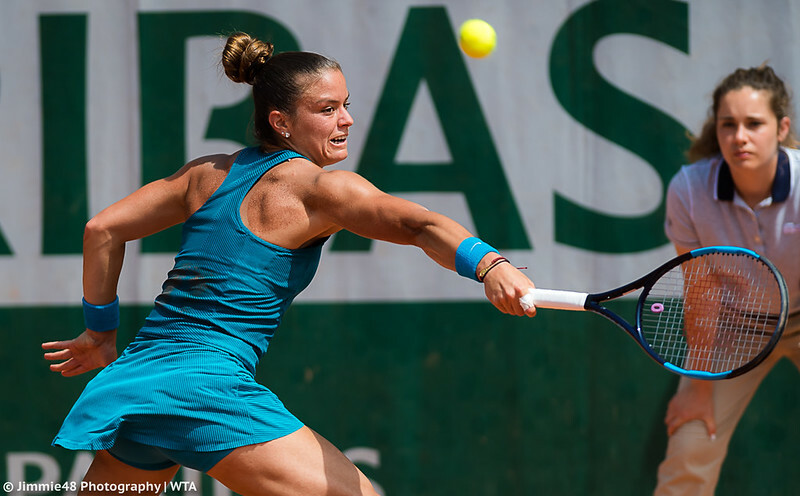 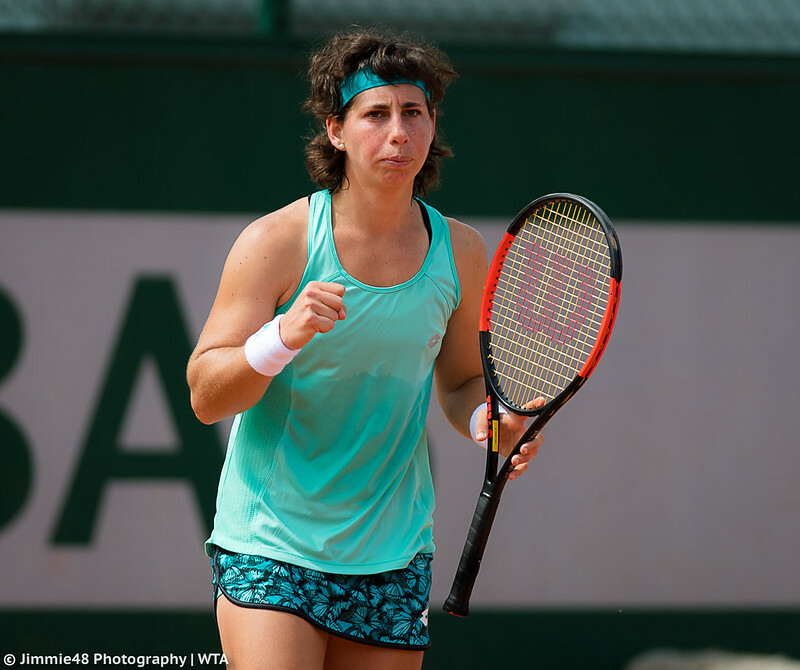 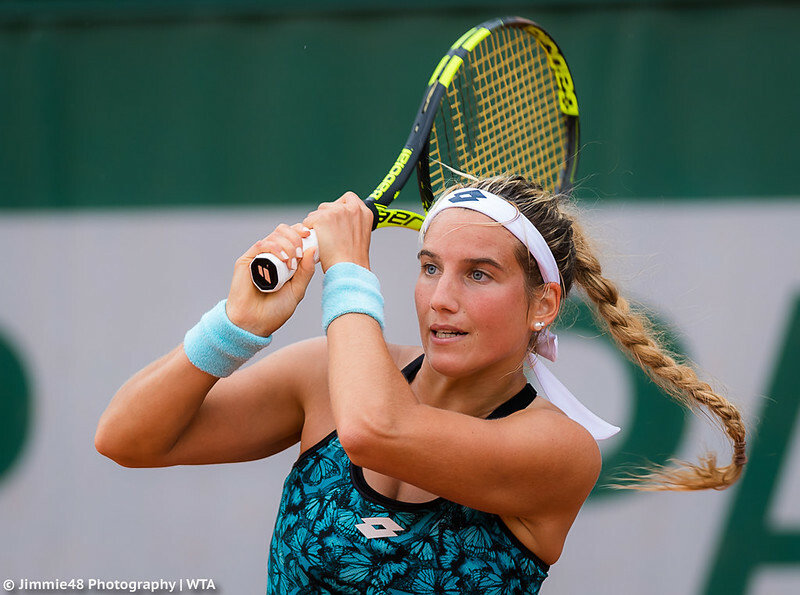 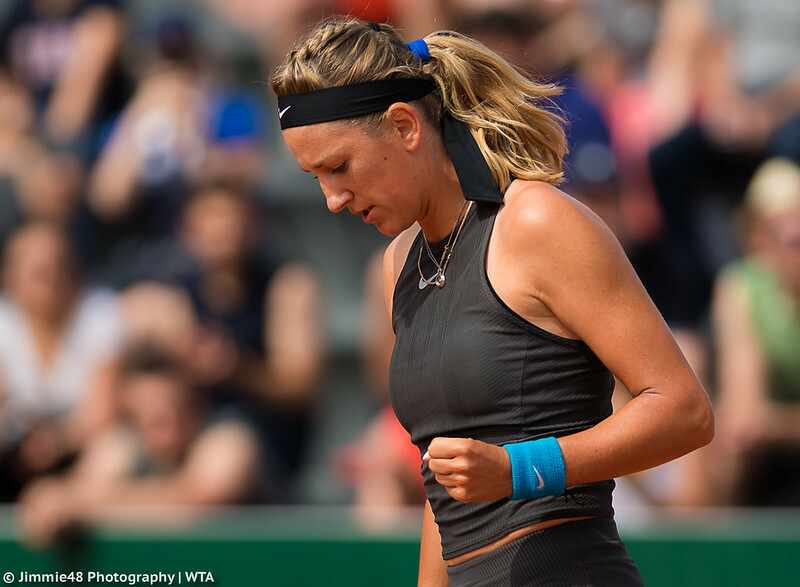 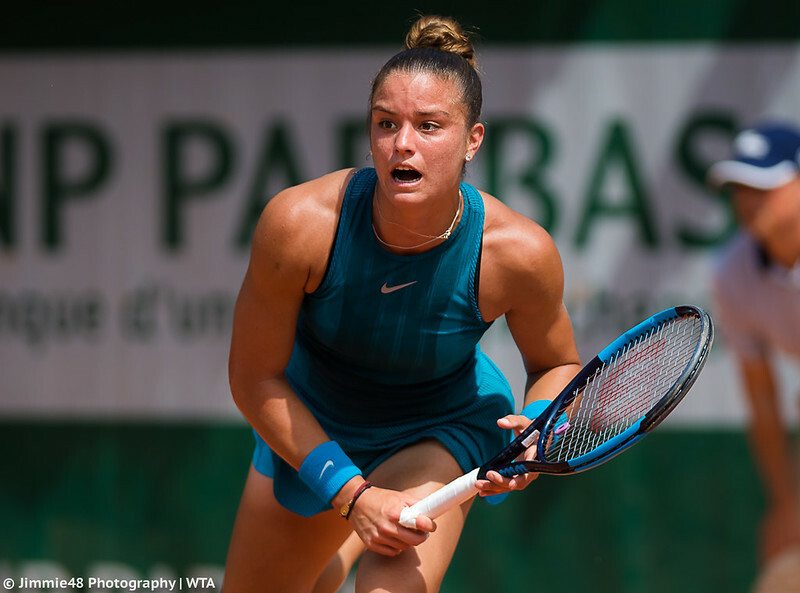 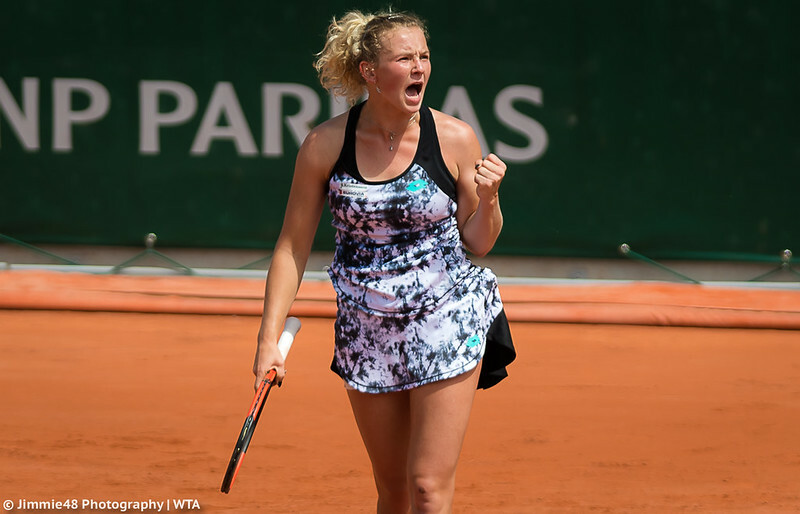 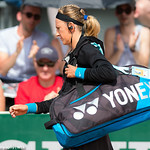 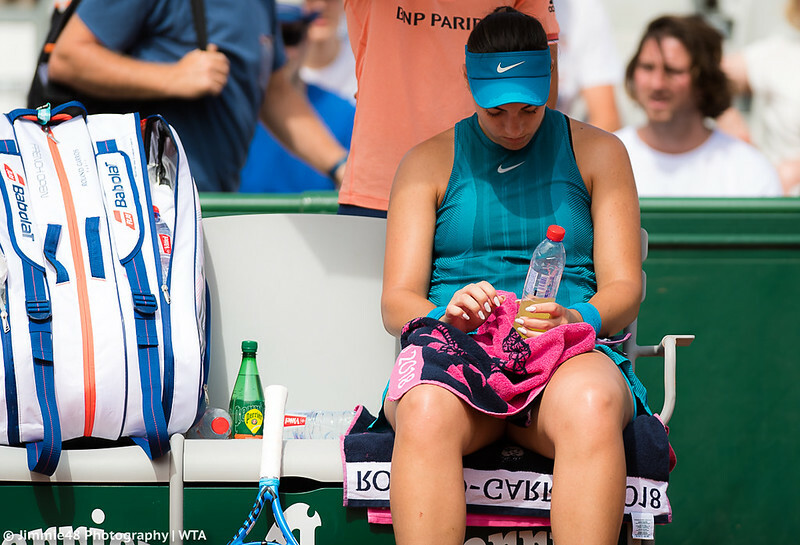 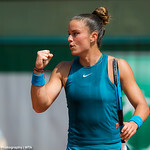 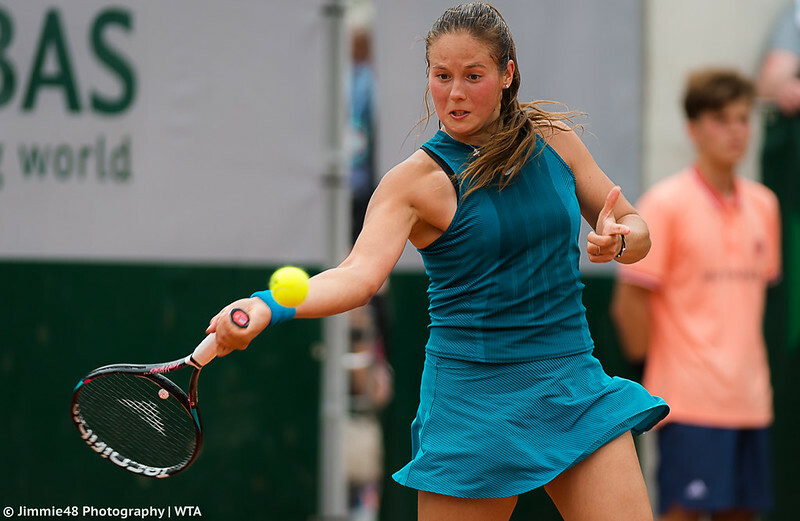 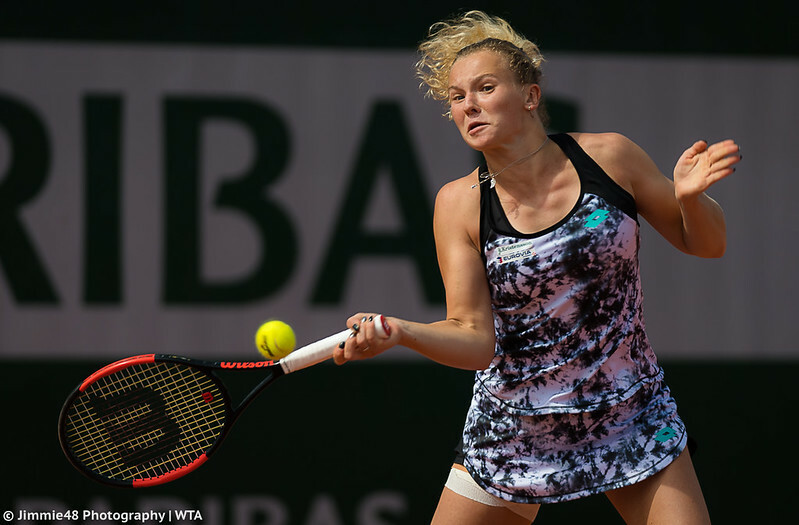 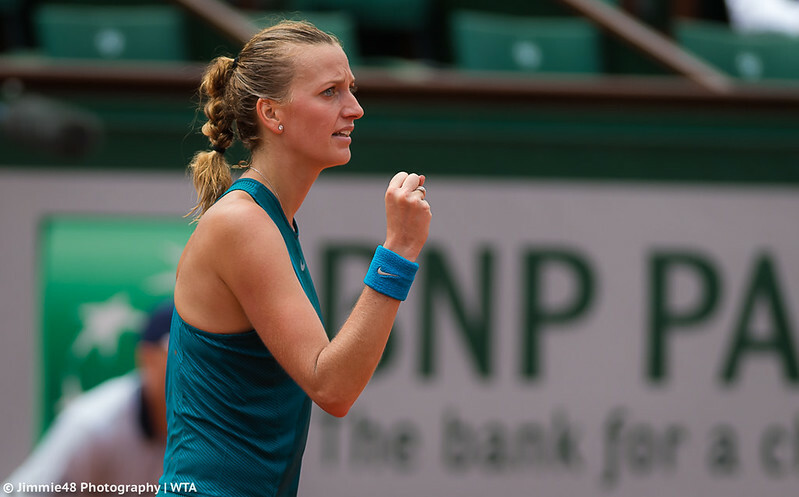 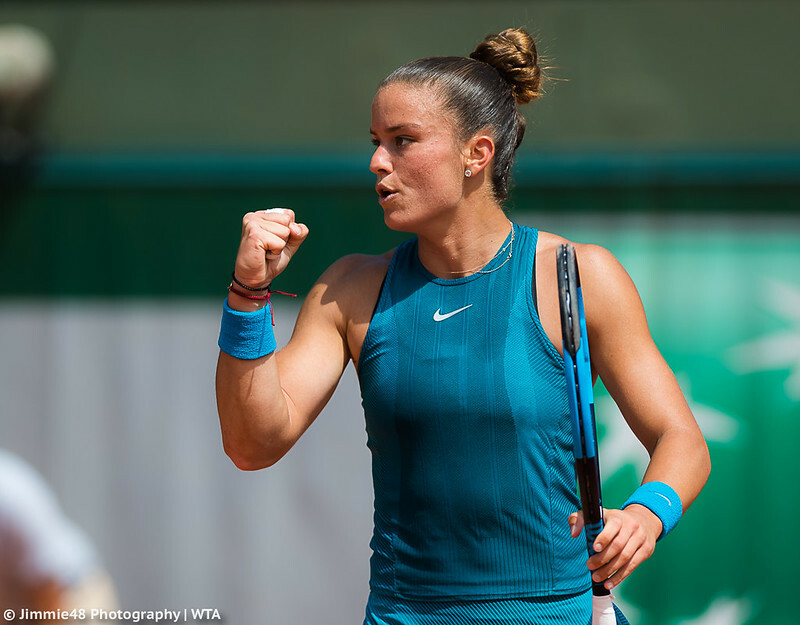 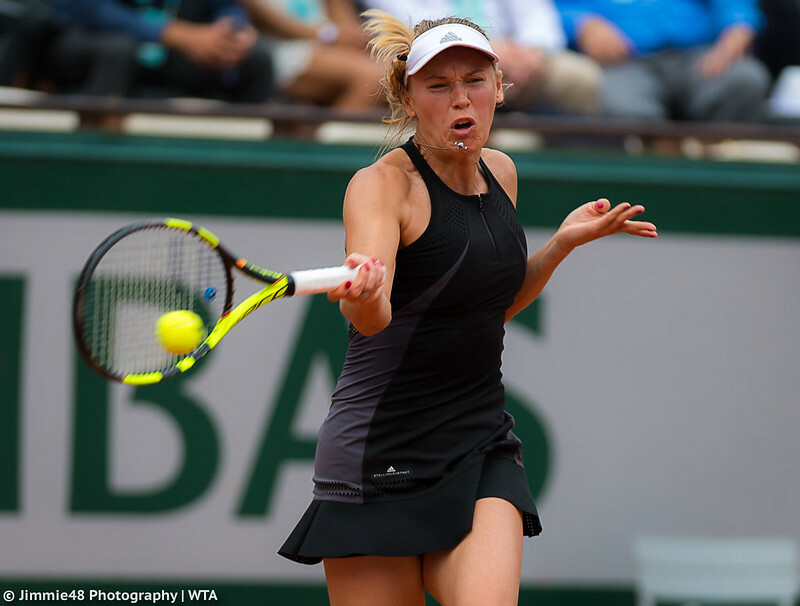 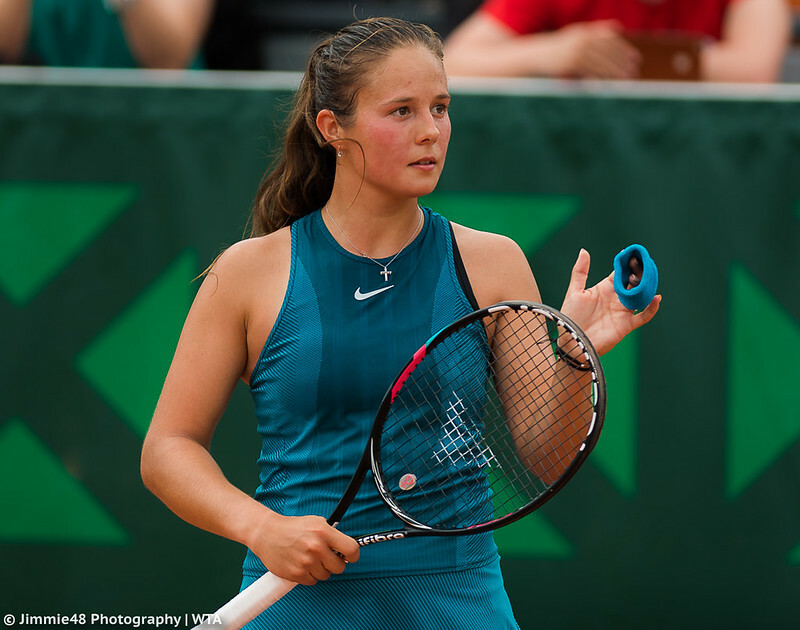 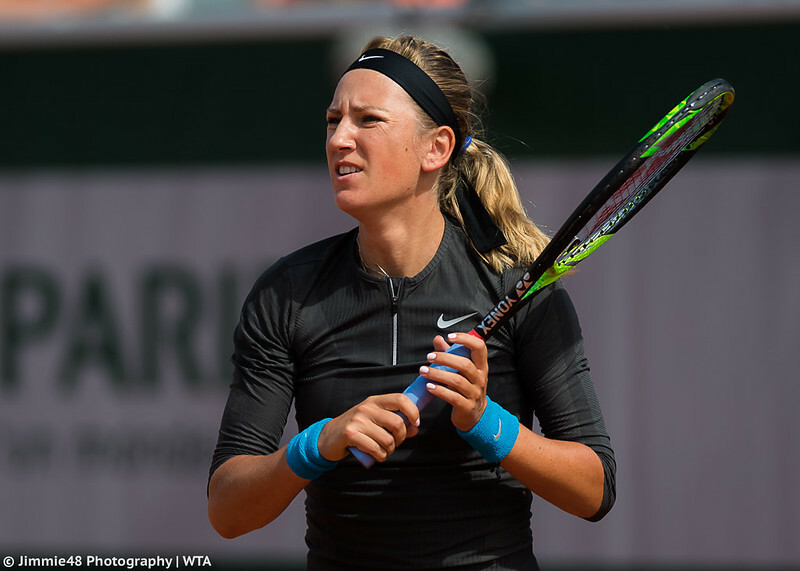 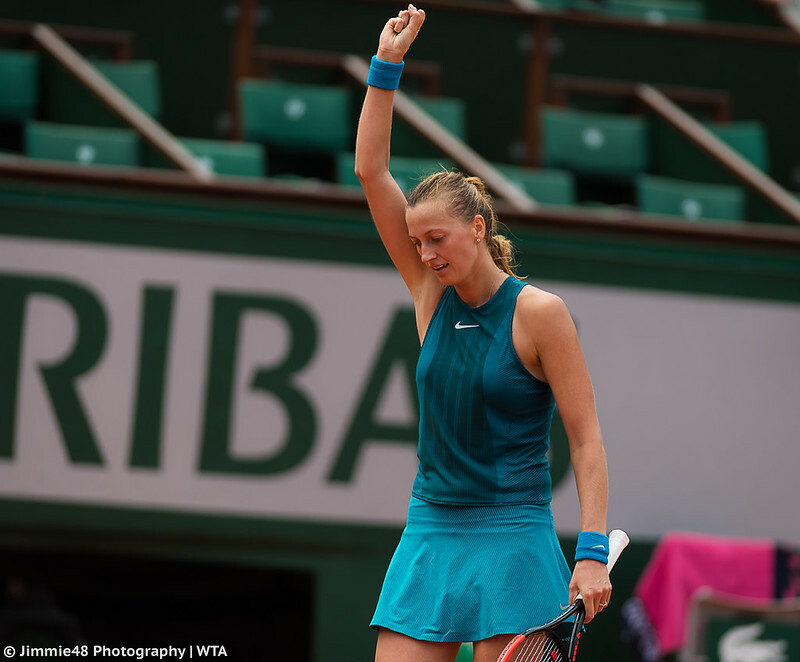 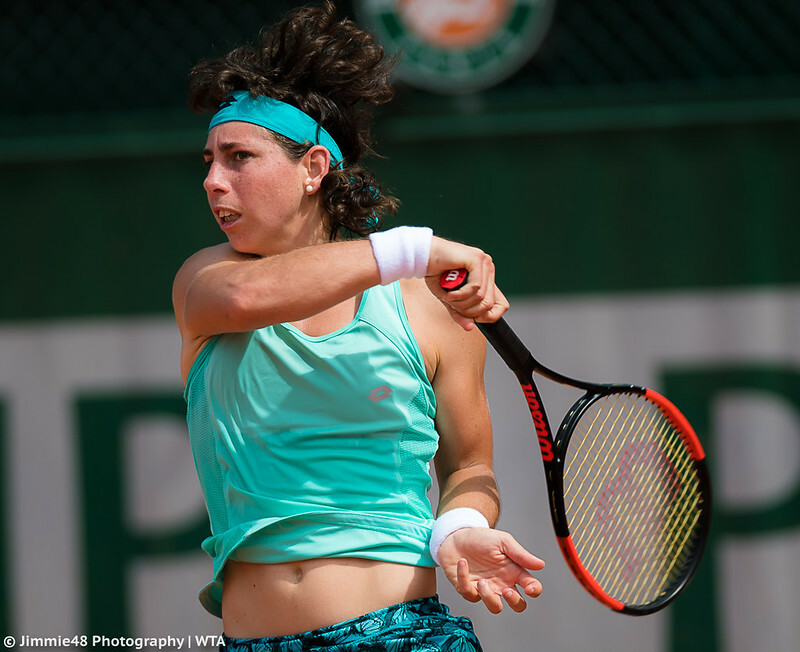 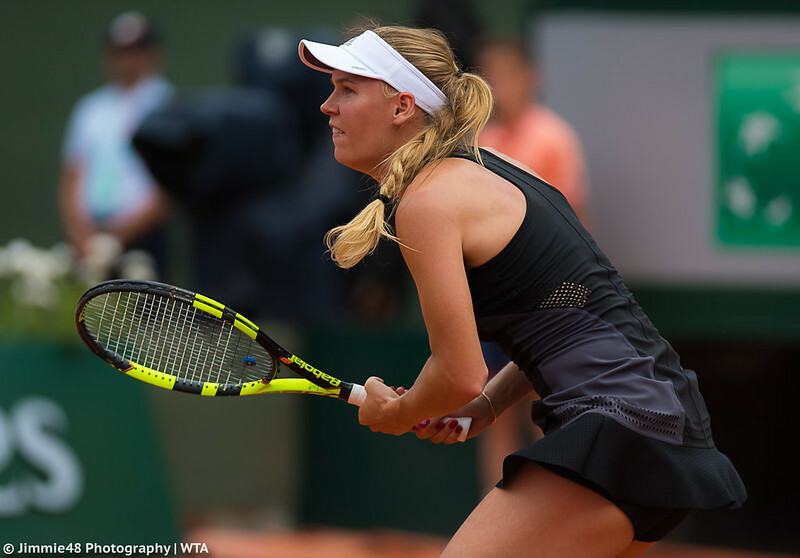 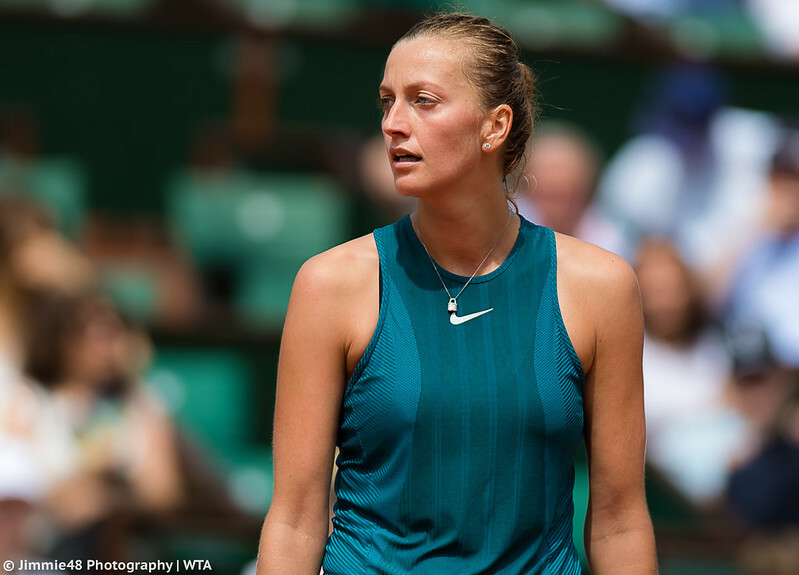 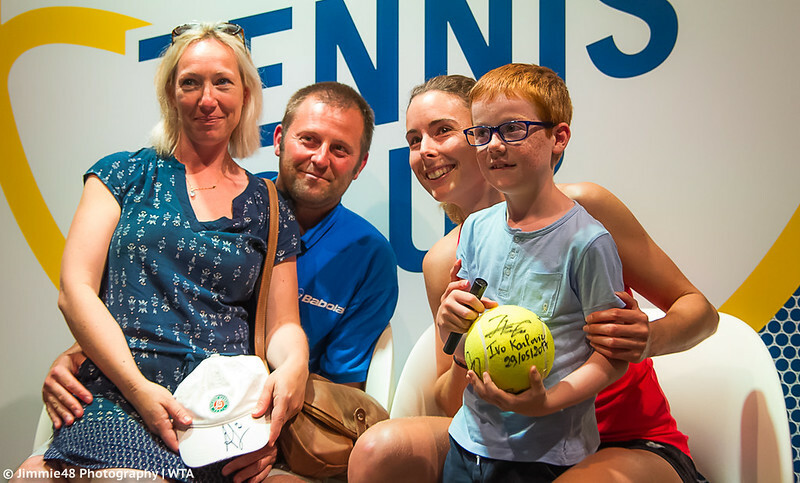 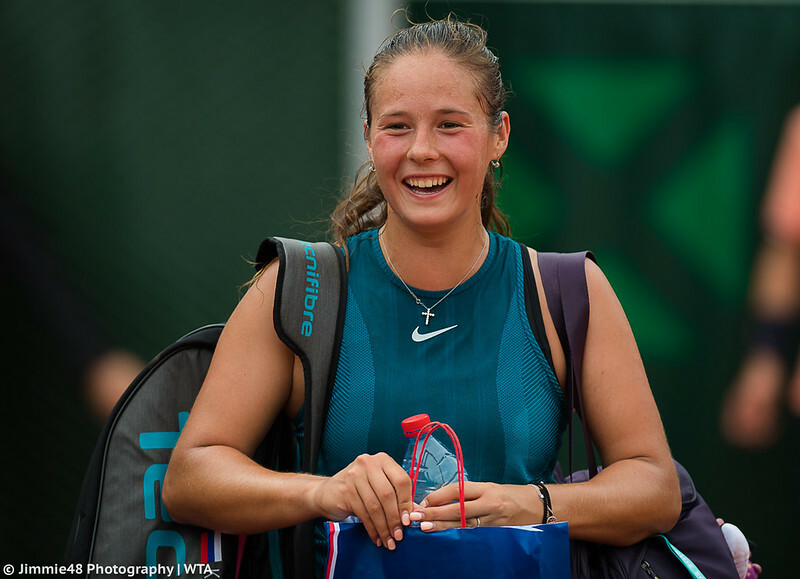 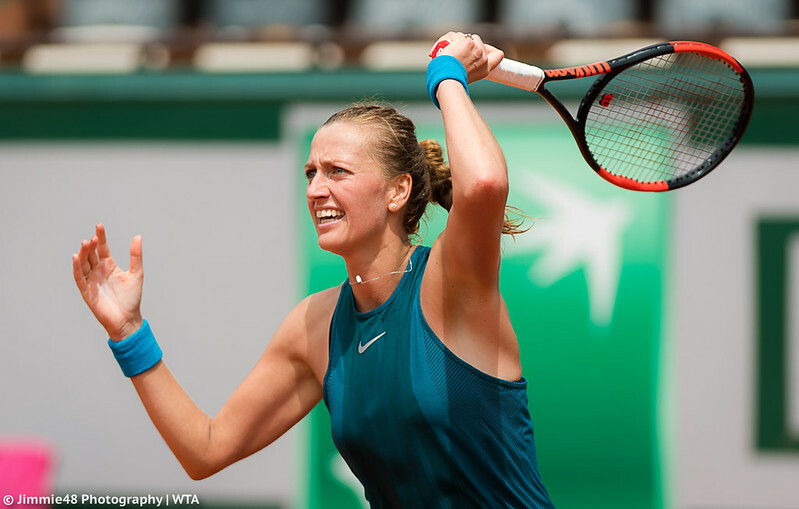 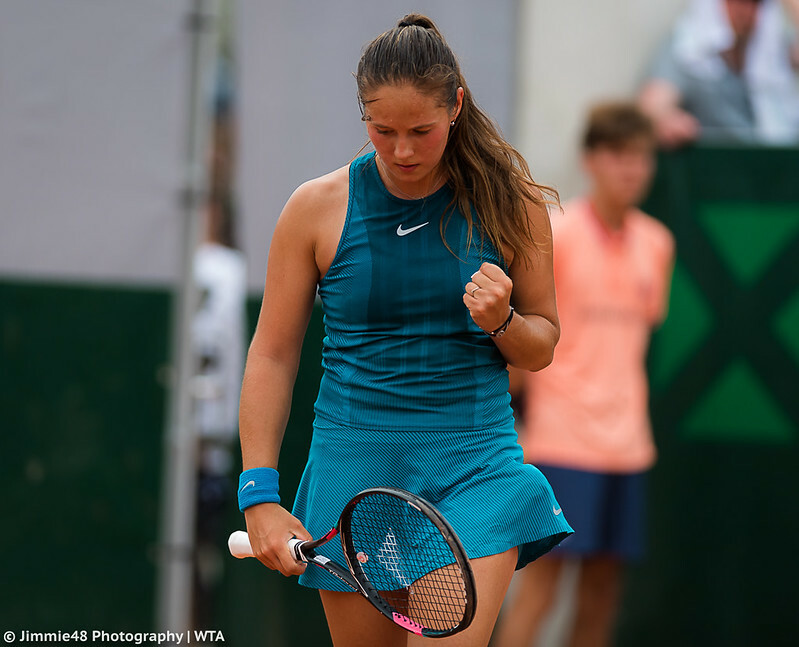 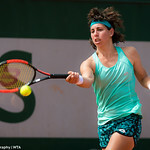 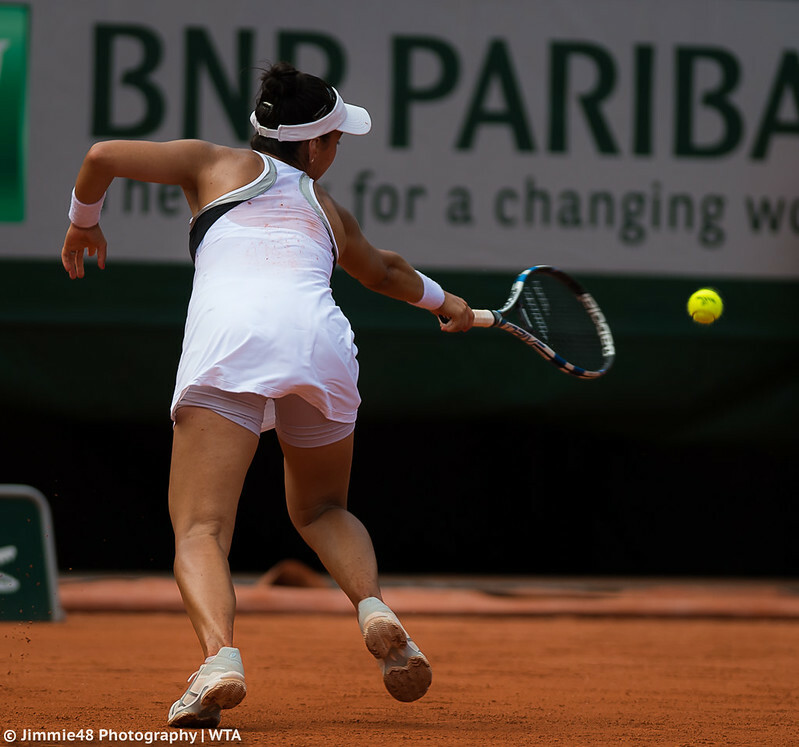 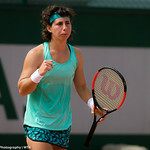 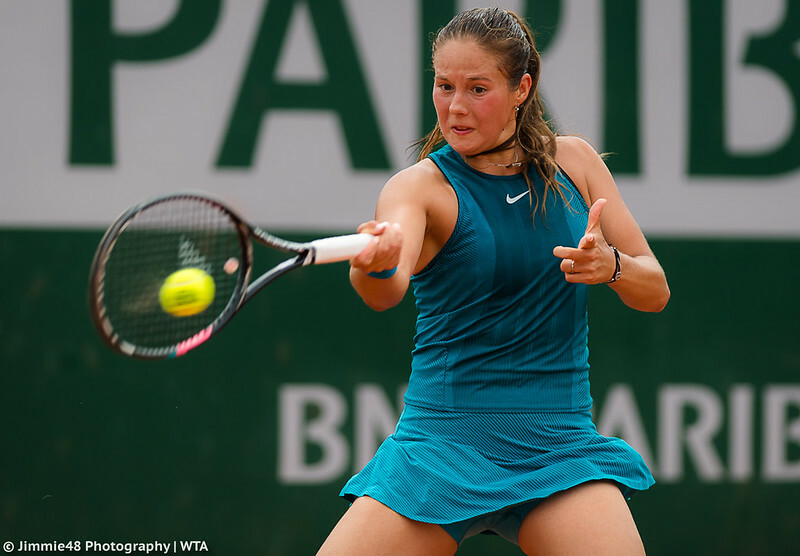 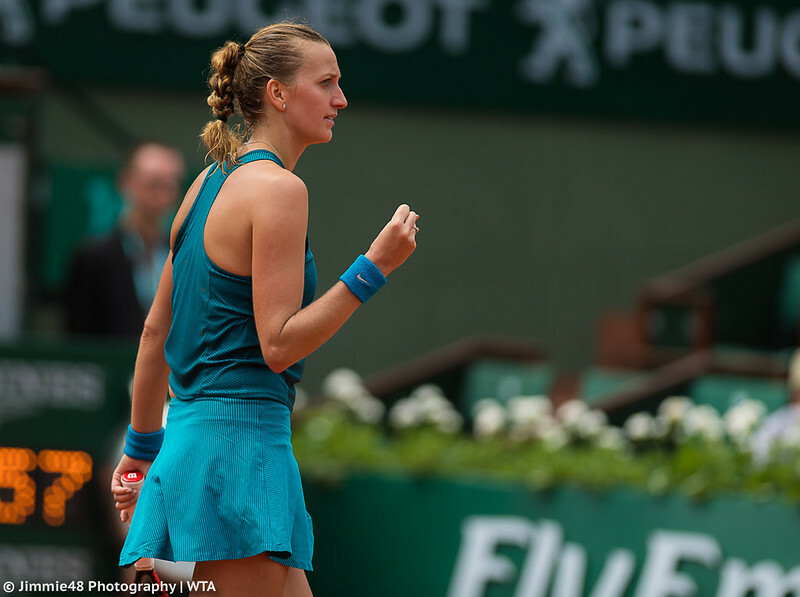 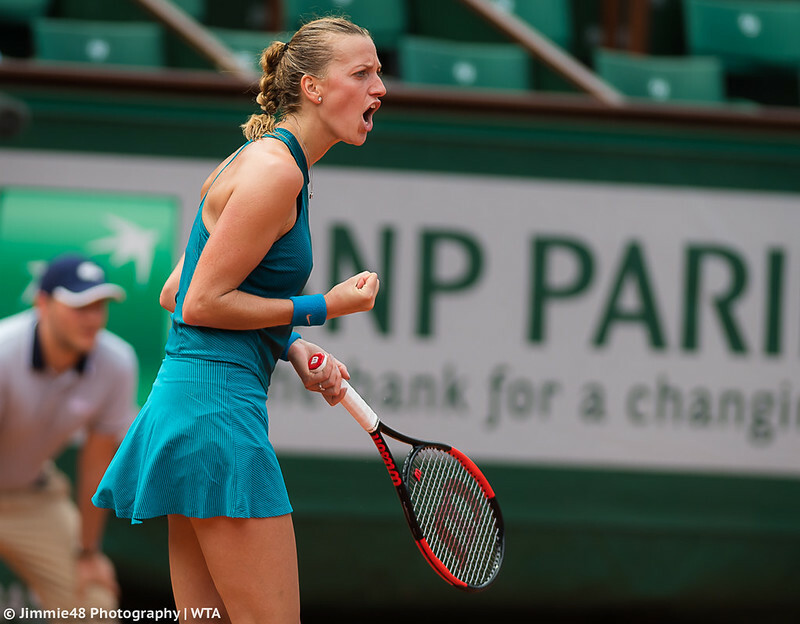 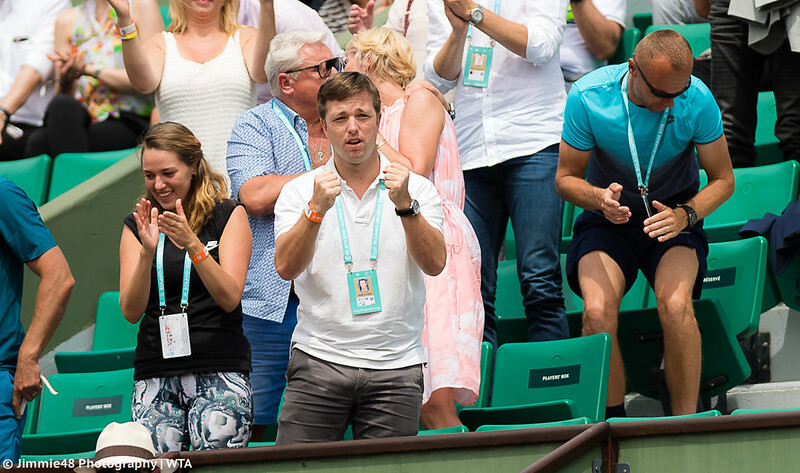 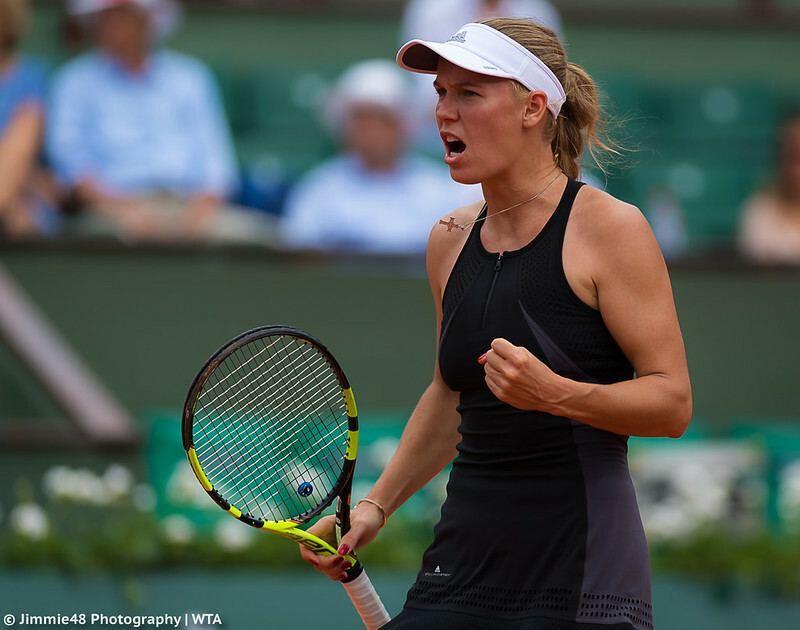 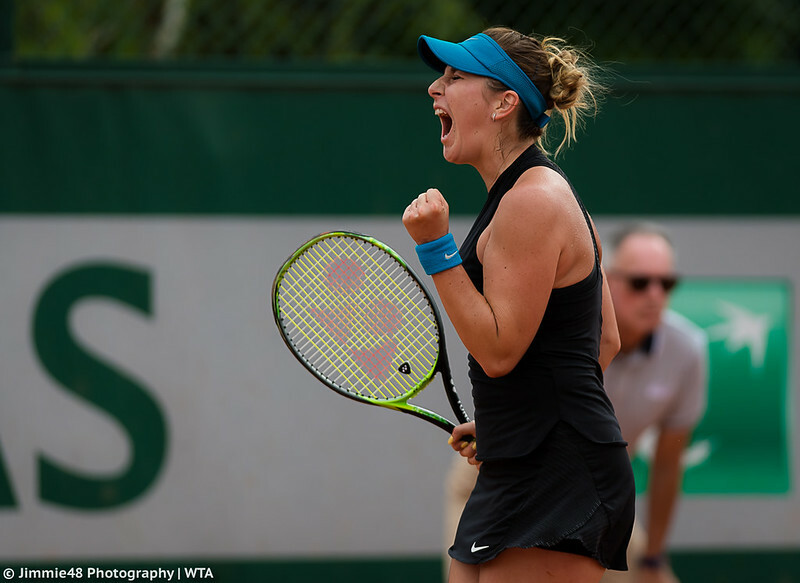 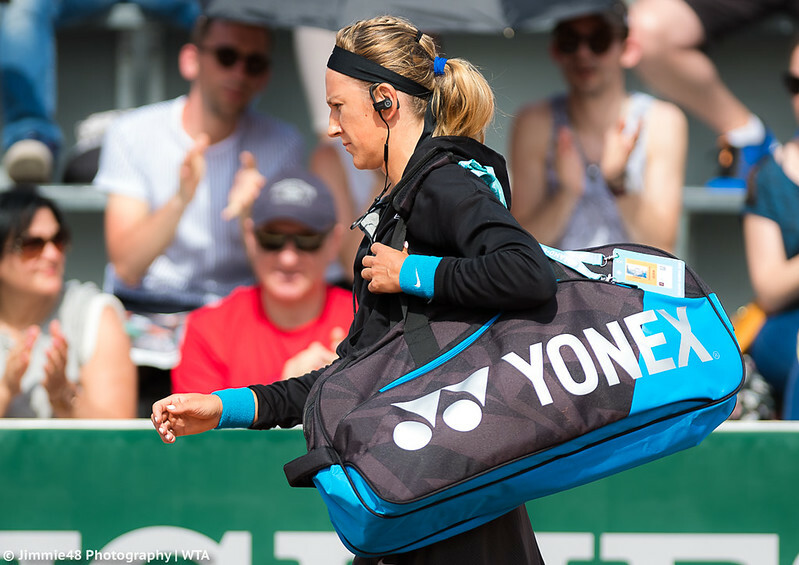 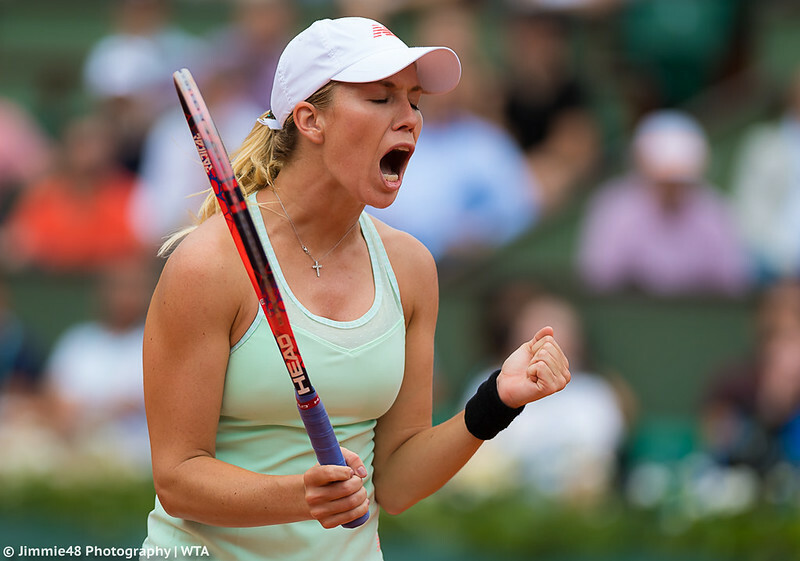 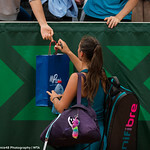 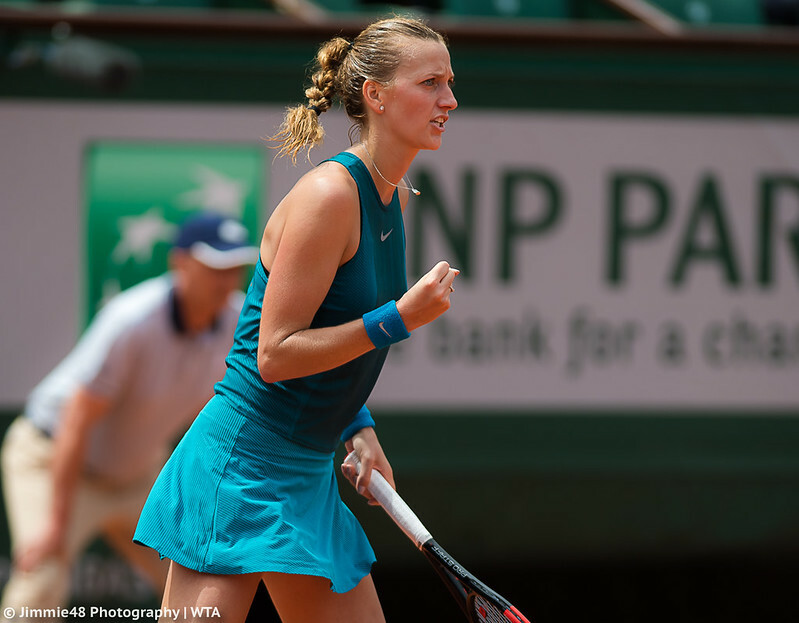 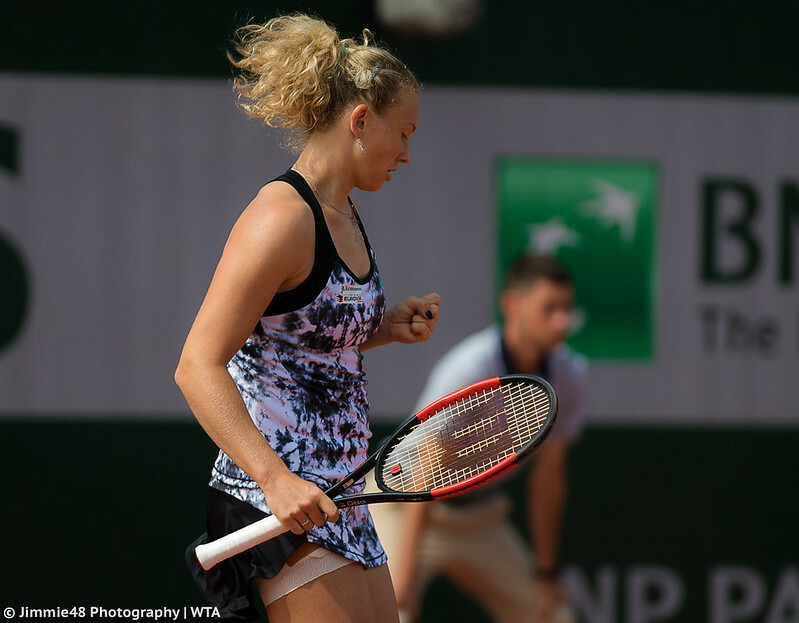 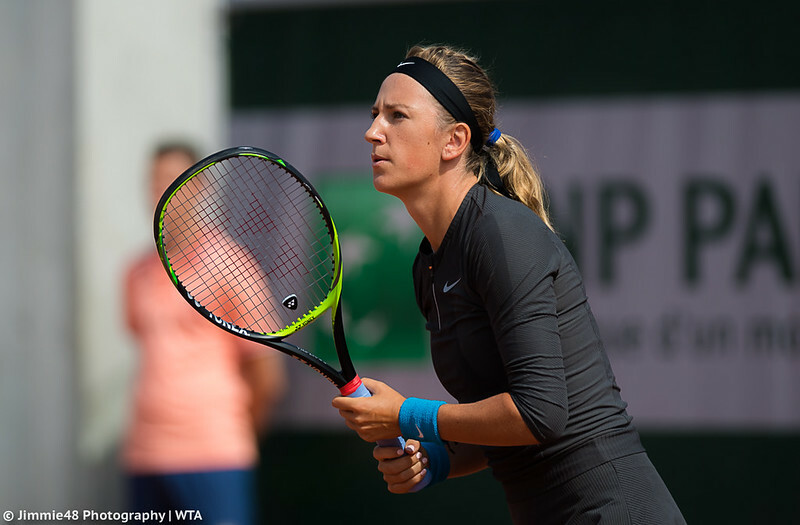 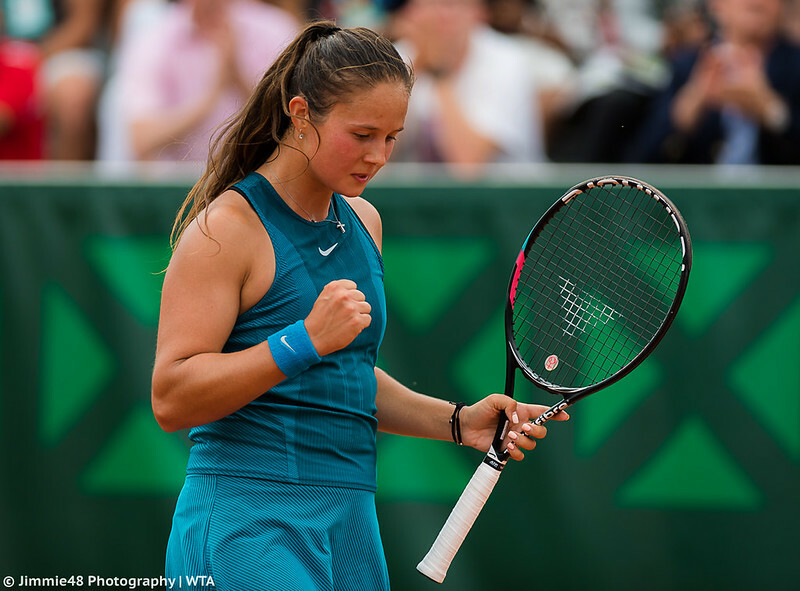 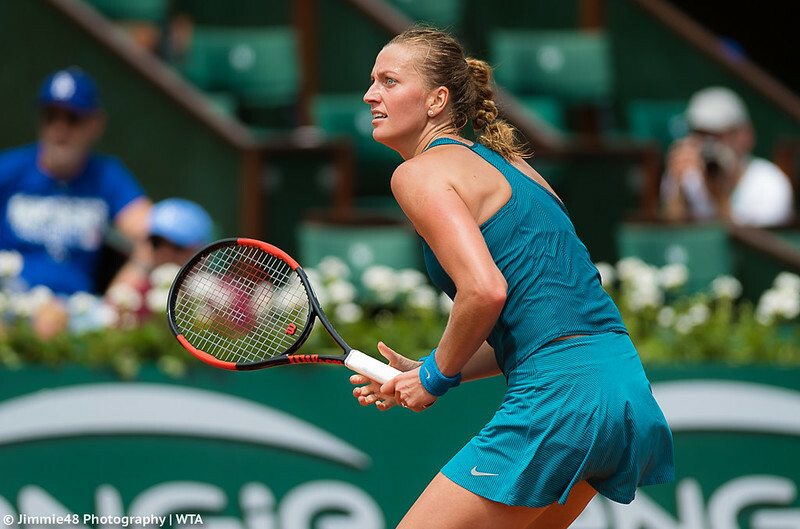 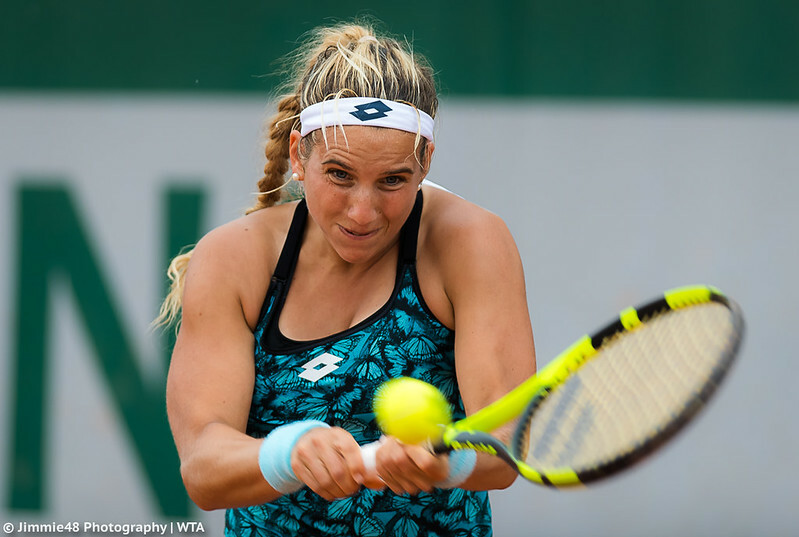 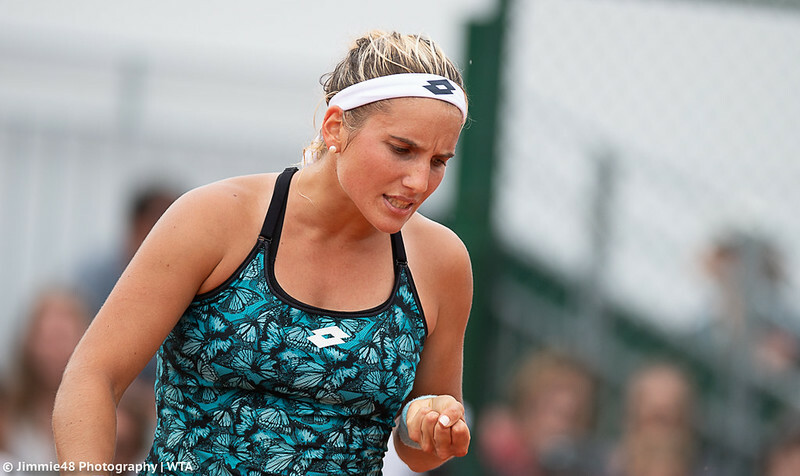 It was a nerve-wracking start for our Jimmie48 on Monday, as he photographed first-round matches happening at the same time at basically opposite sides of the Roland Garros venue, but he succeeded, so we have both photos of Katerina Siniakova‘s triumph over Victoria Azarenka than happened on Court 18 and of Petra Kvitova‘s comeback victory over Veronica Cepede Royg on Court Philippe Chatrier. 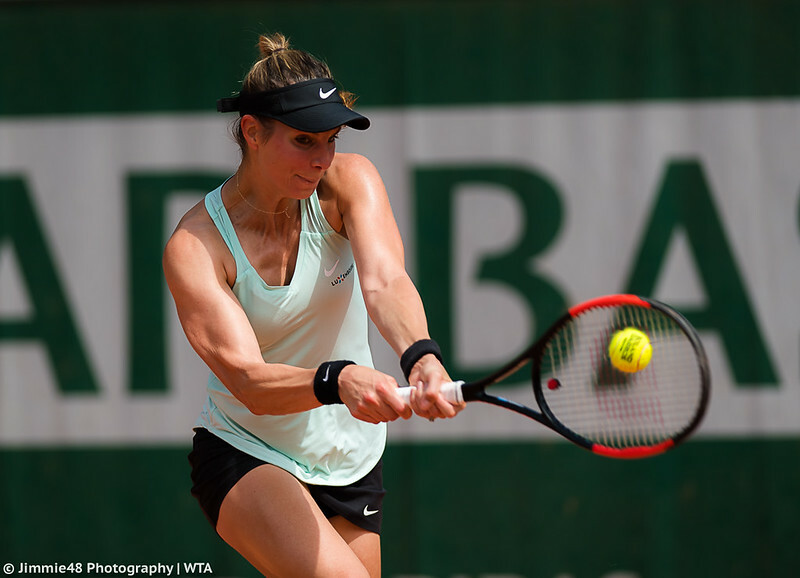 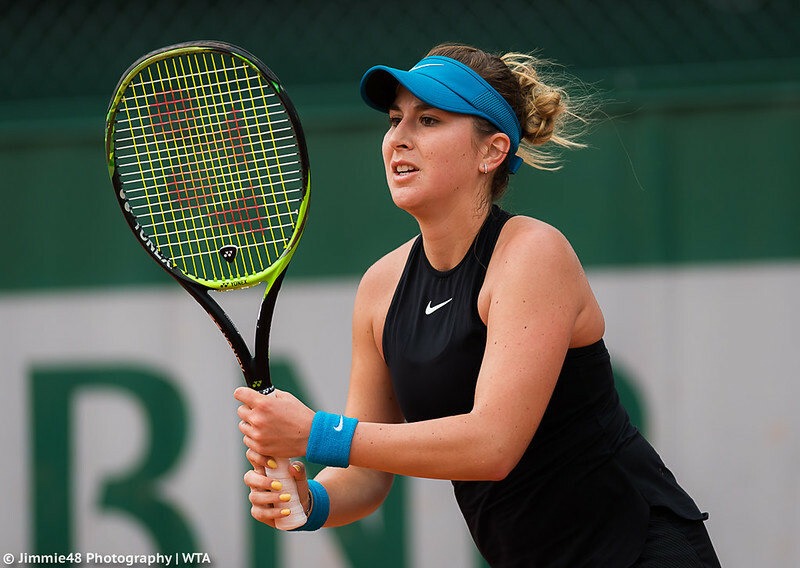 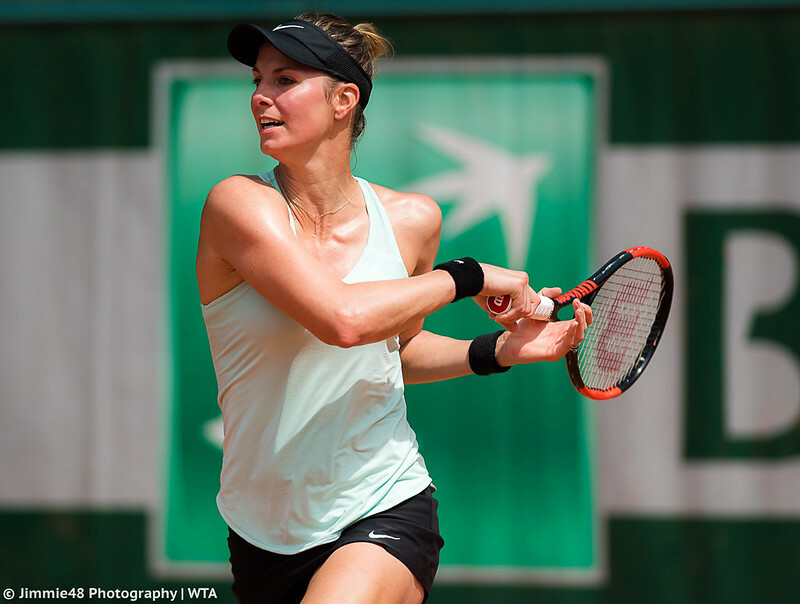 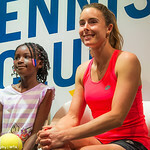 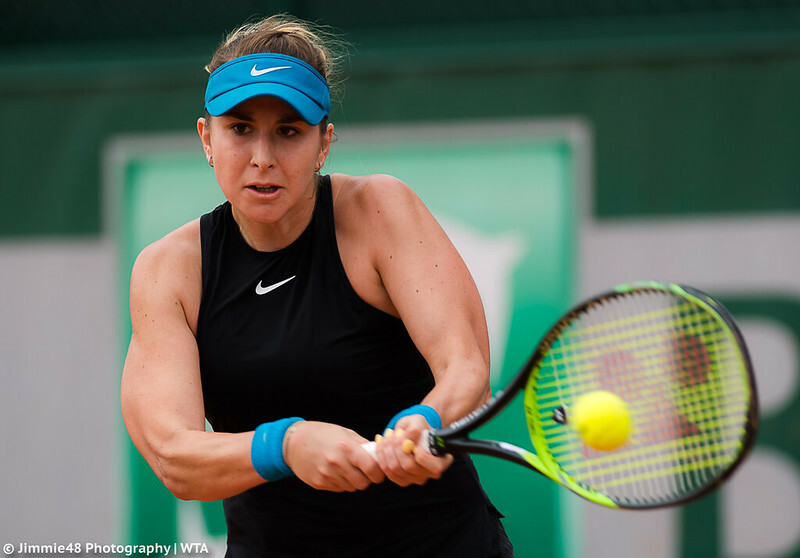 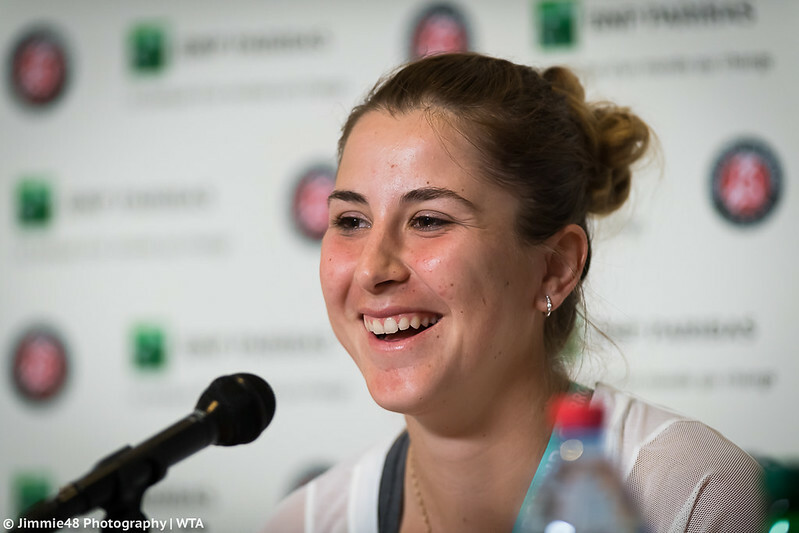 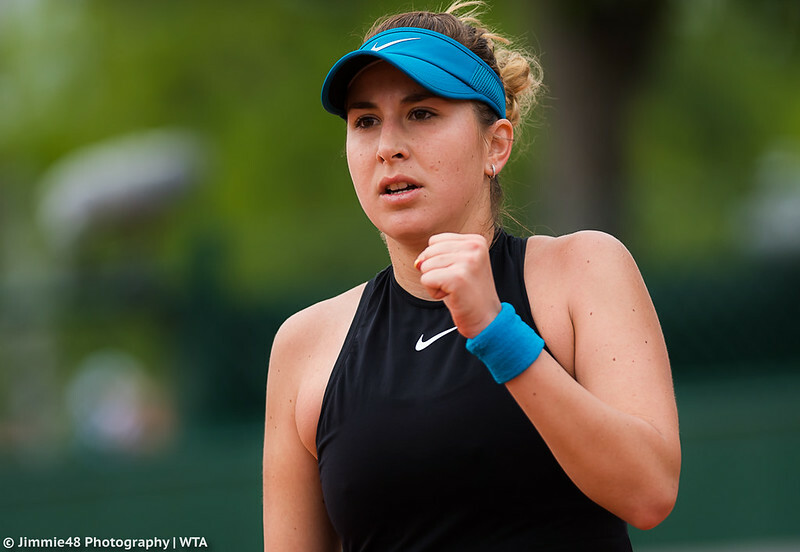 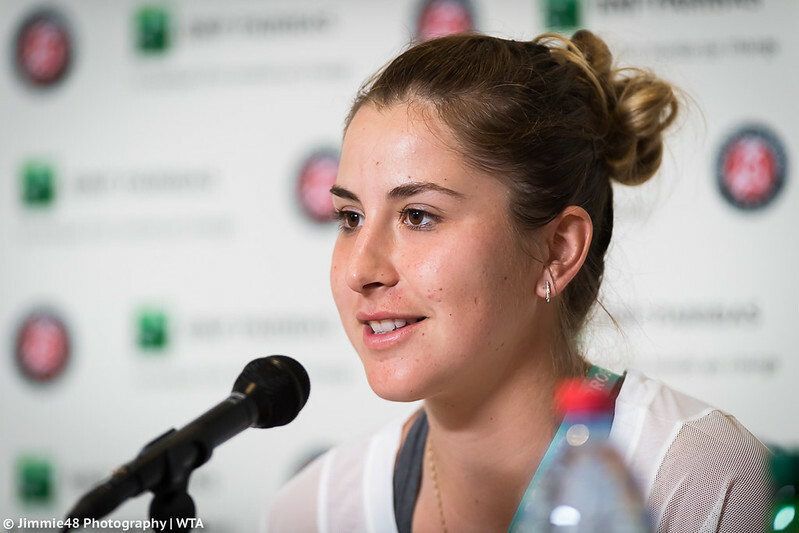 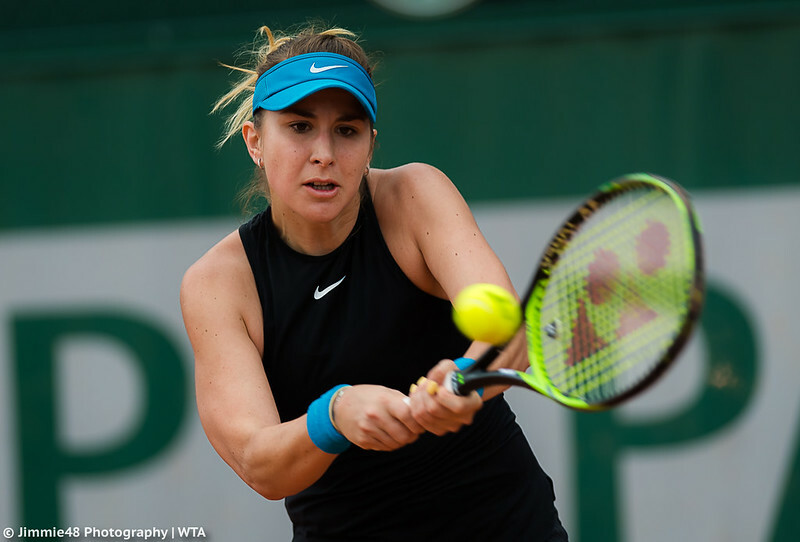 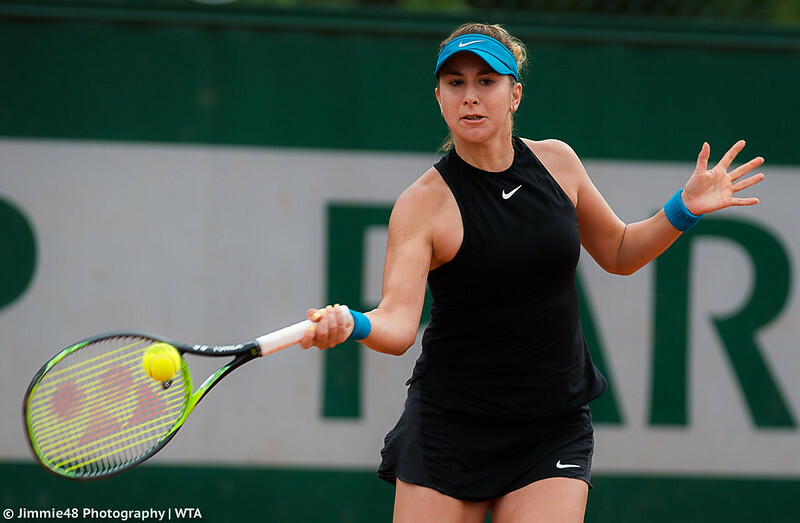 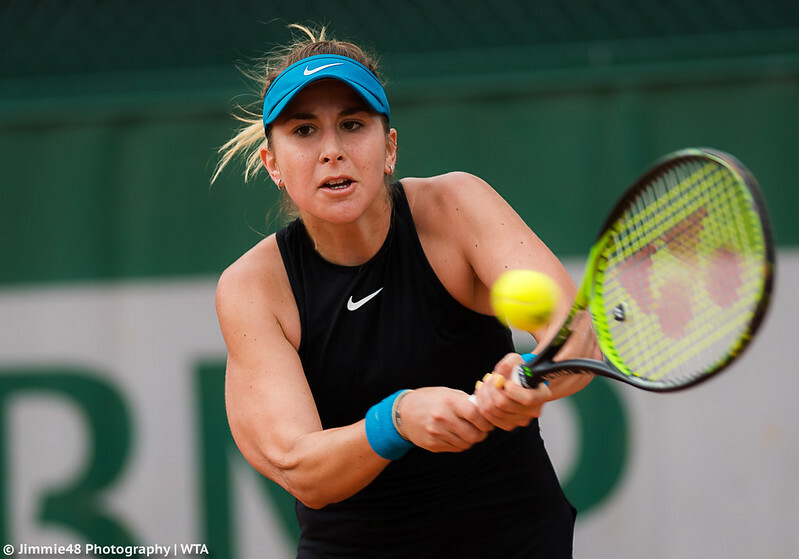 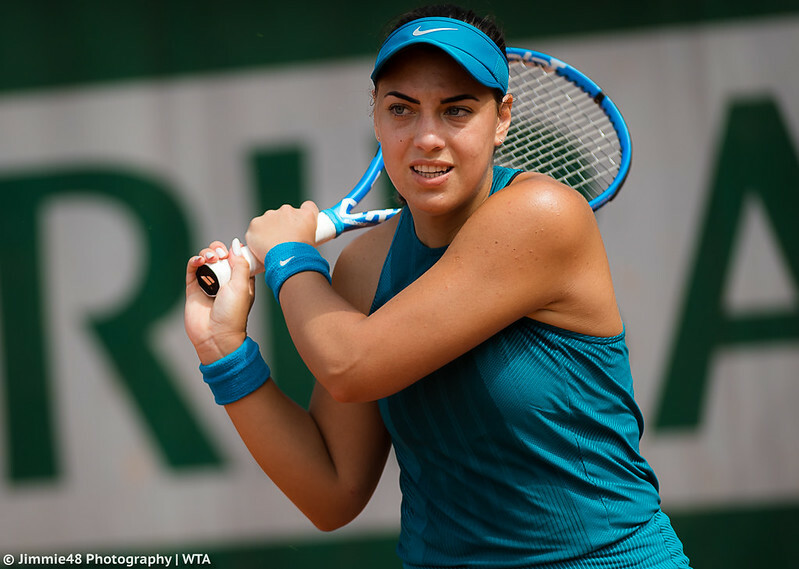 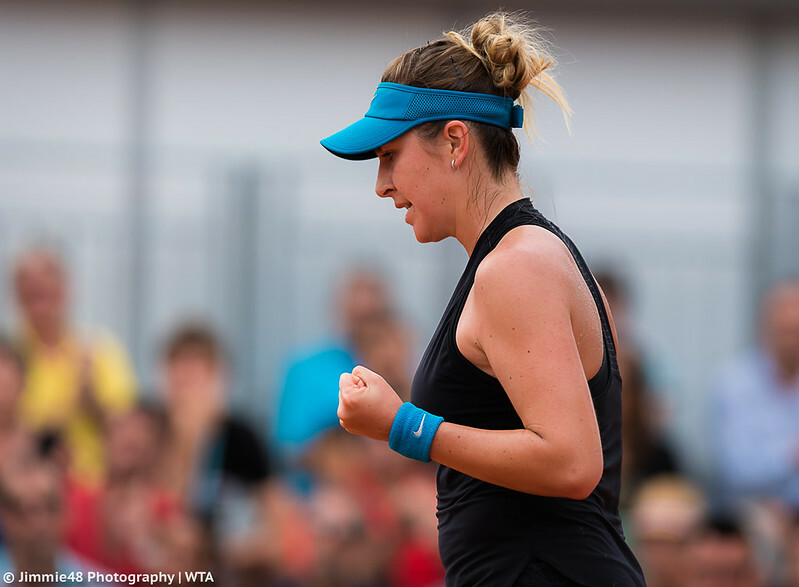 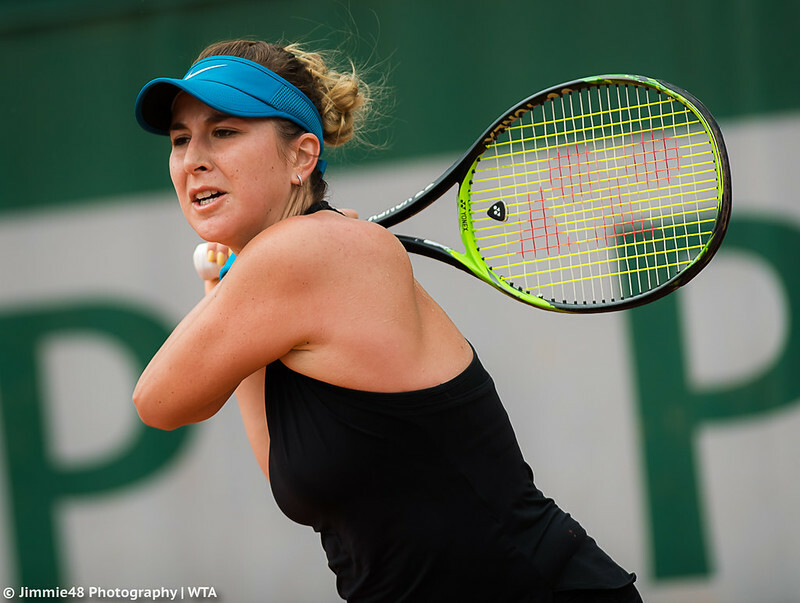 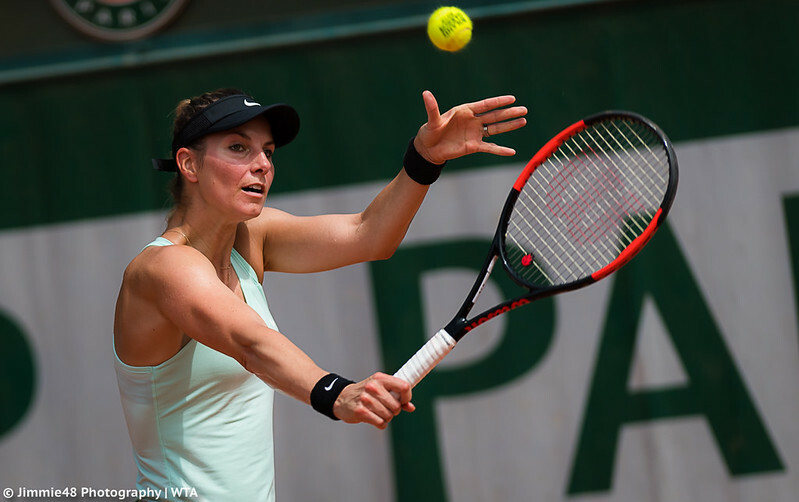 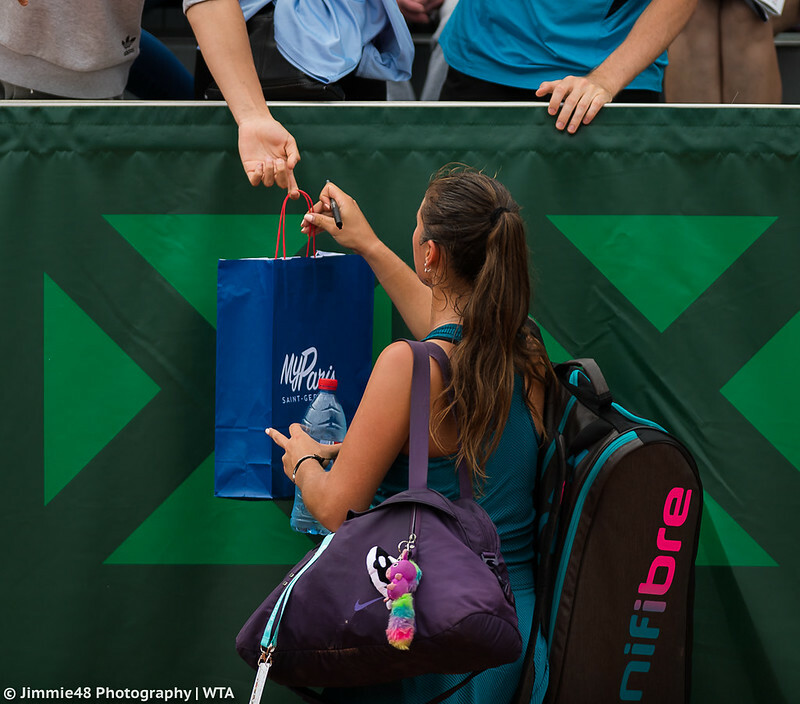 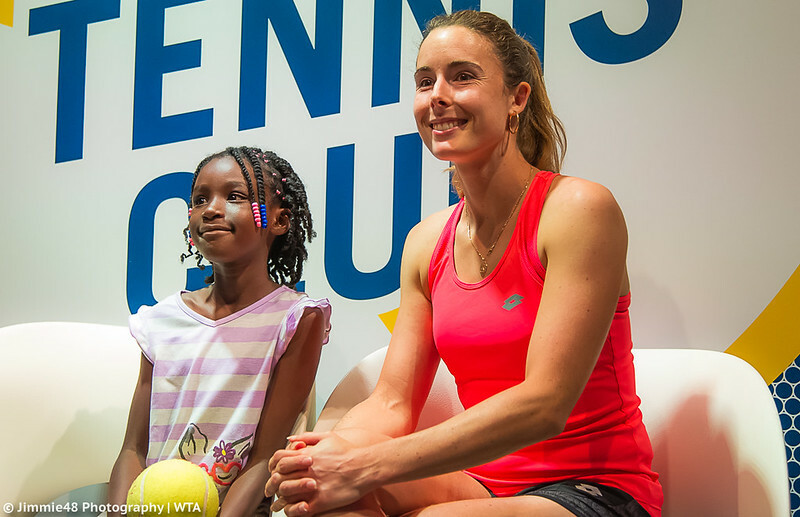 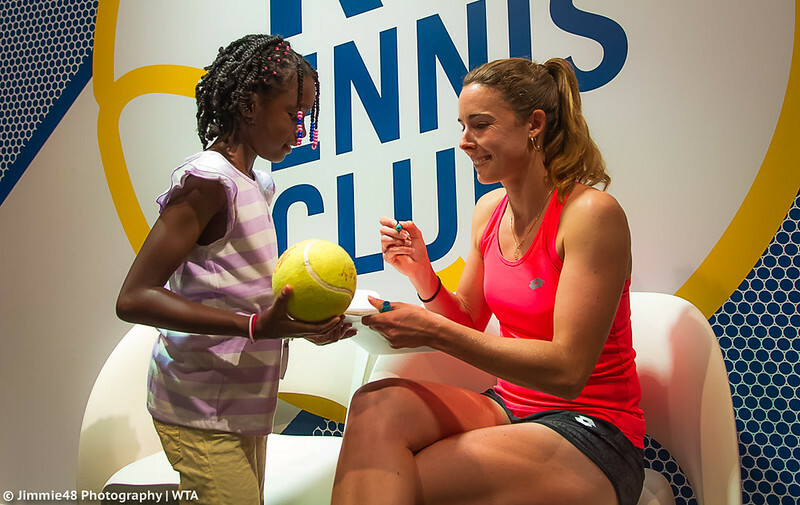 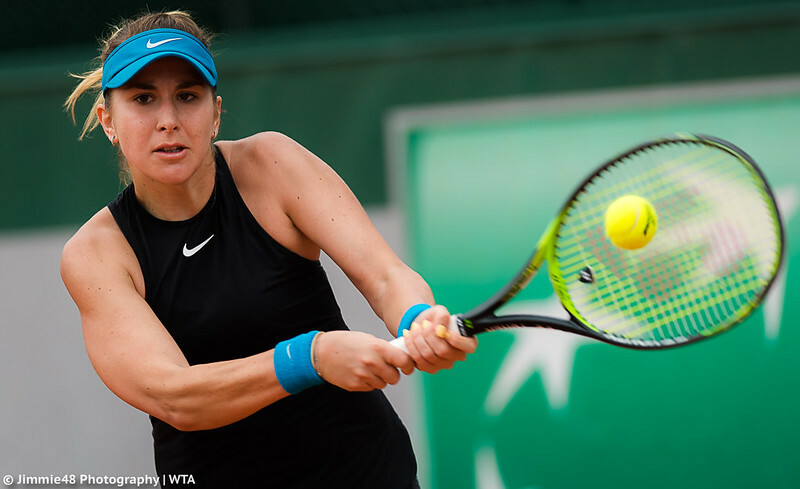 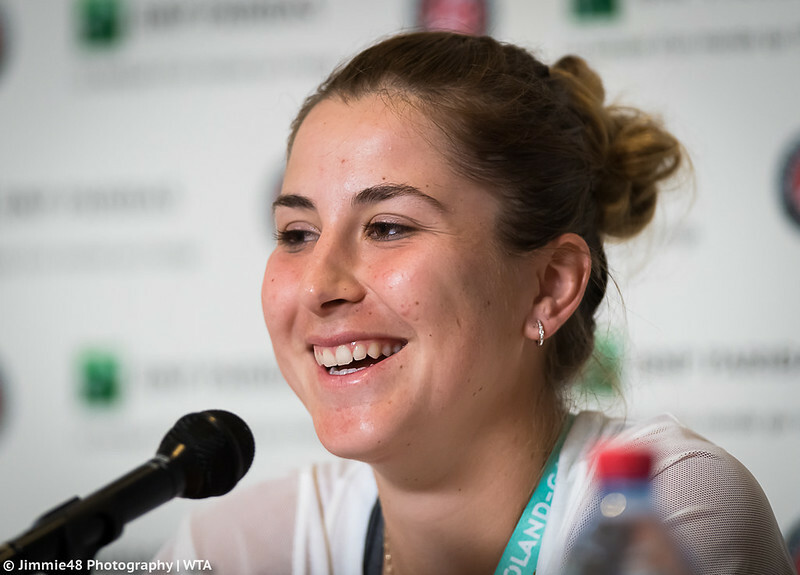 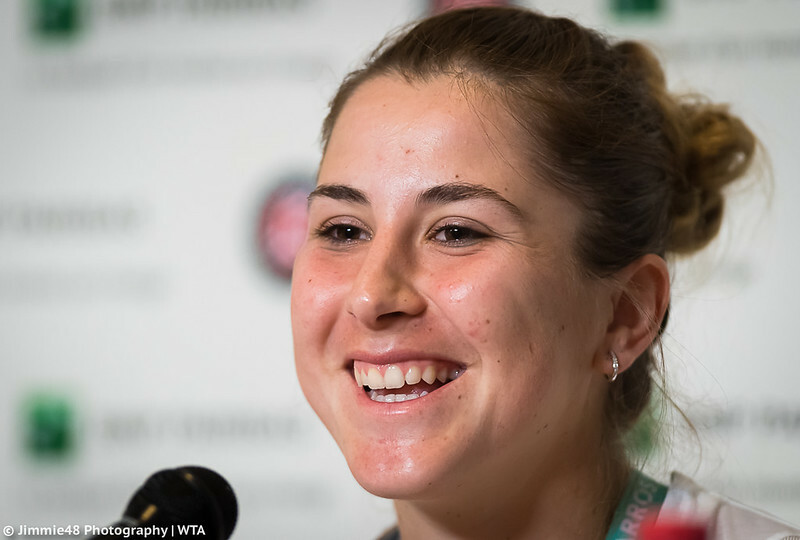 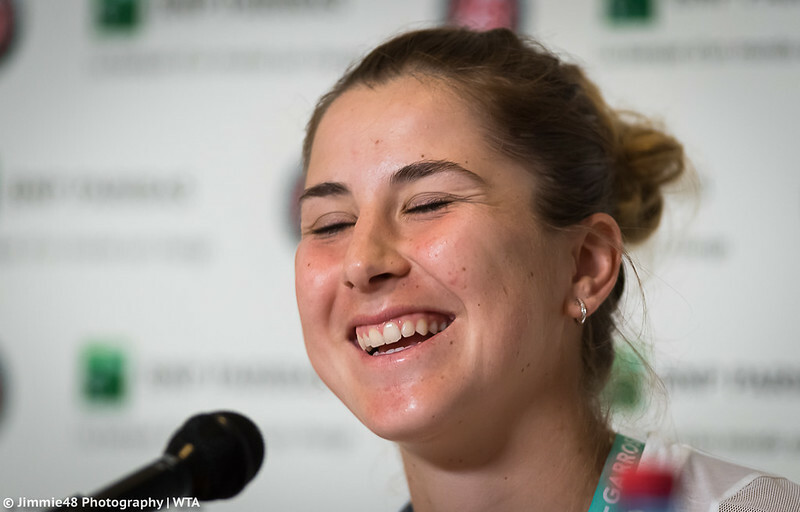 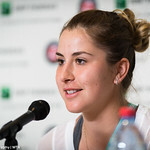 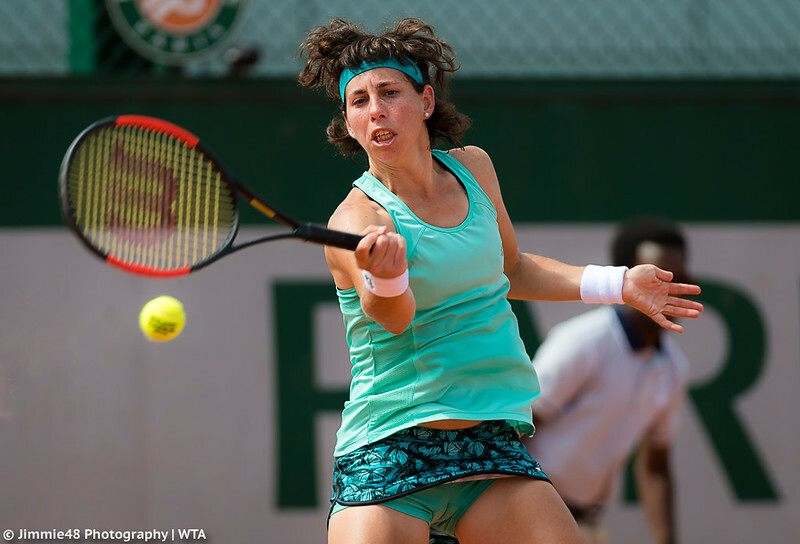 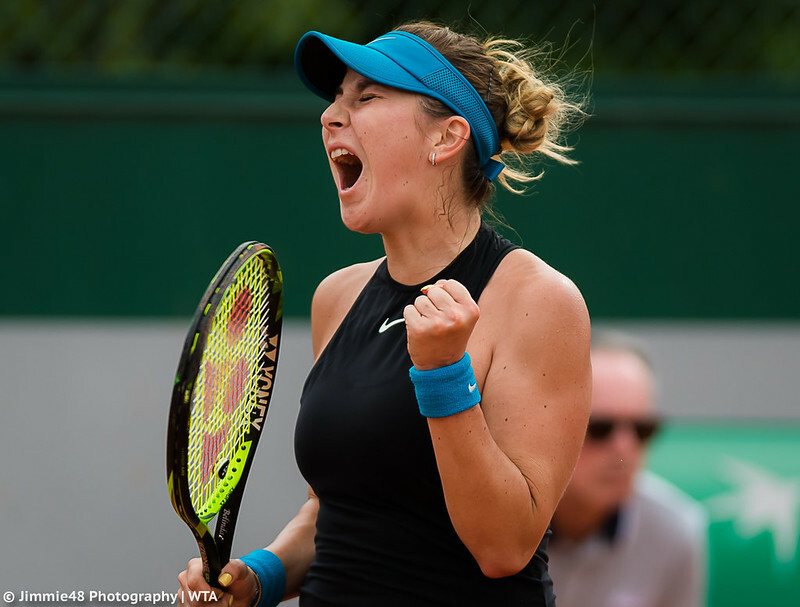 In other first-round action, Belinda Bencic won her first main-draw match since Indian Wells by defeating Italian Deborah Chiesa after saving five match points and later impressed at the press conference by speaking Swiss German, German, English and Slovakian. 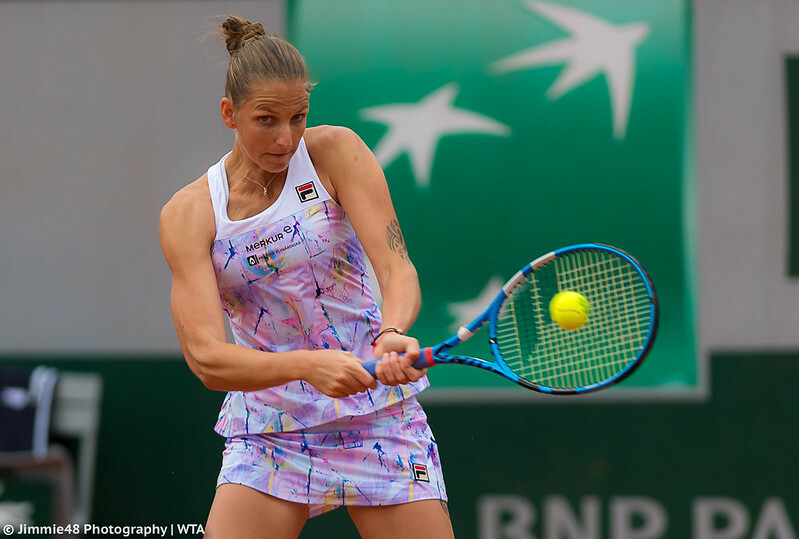 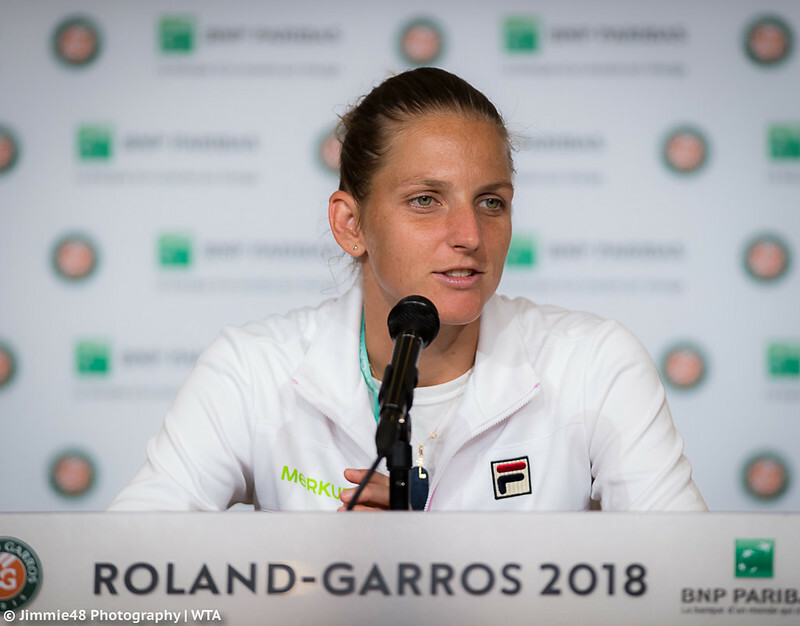 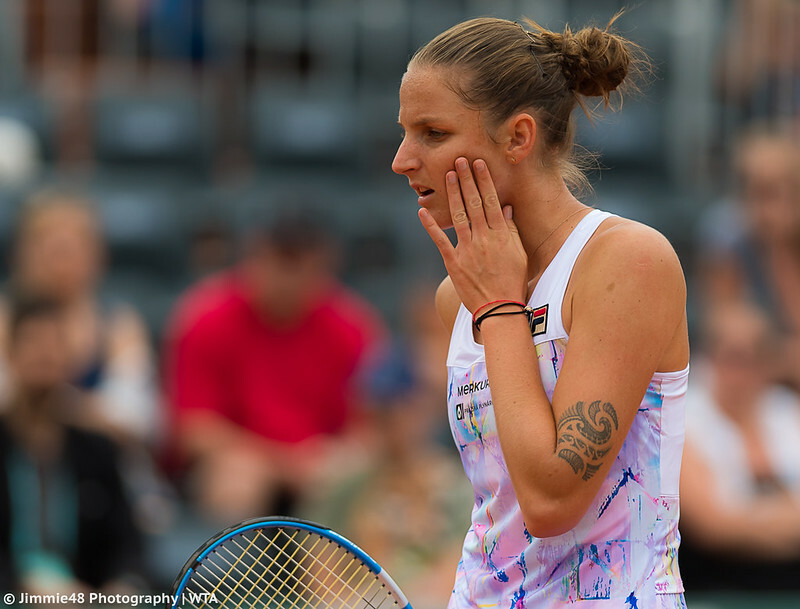 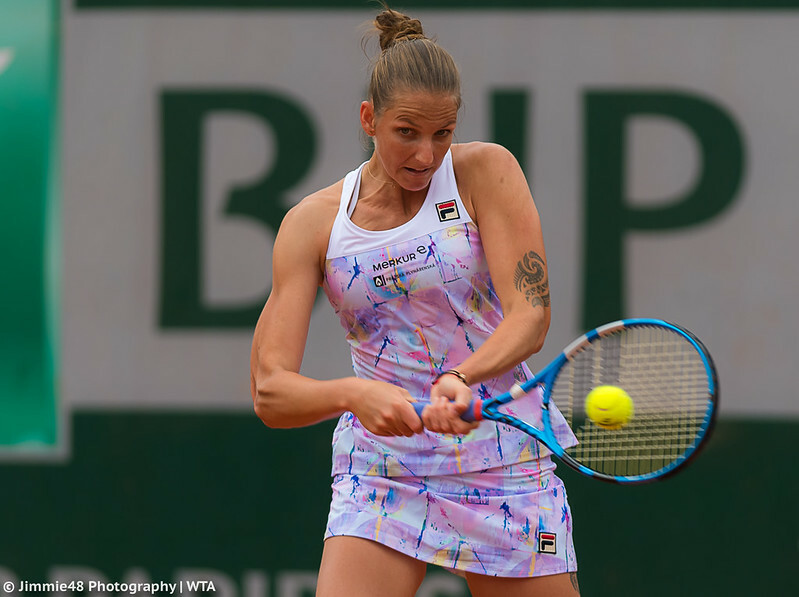 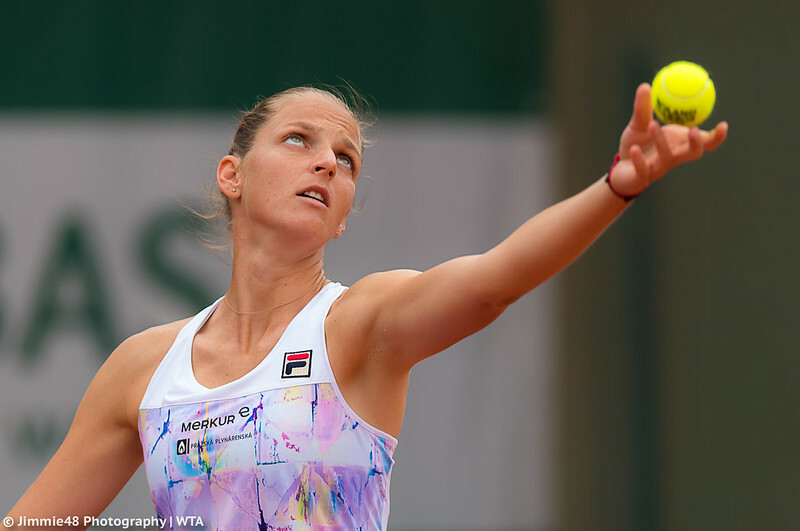 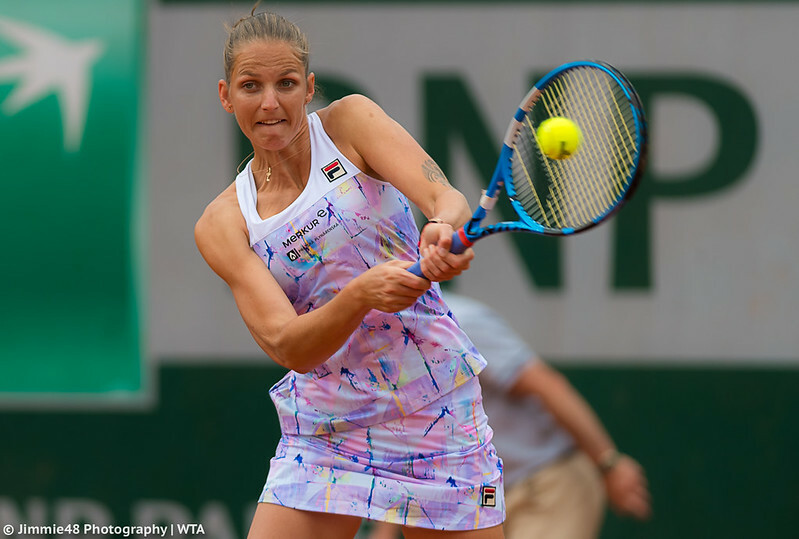 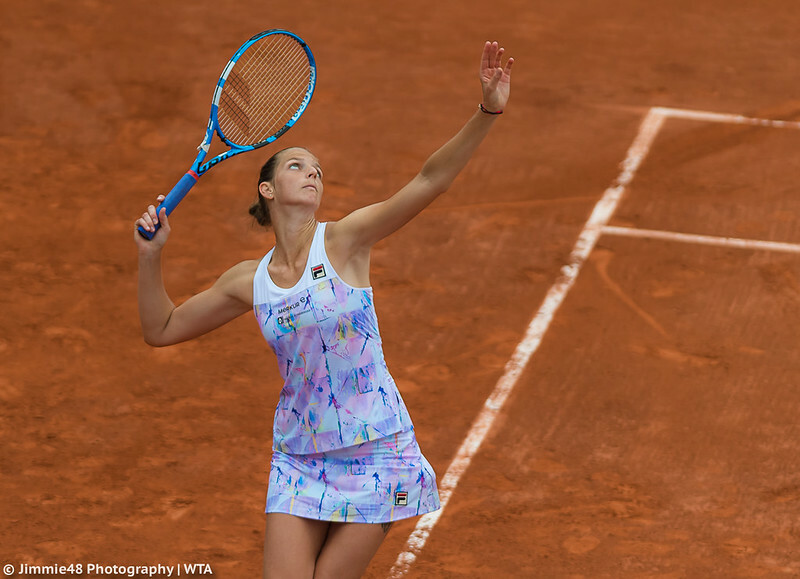 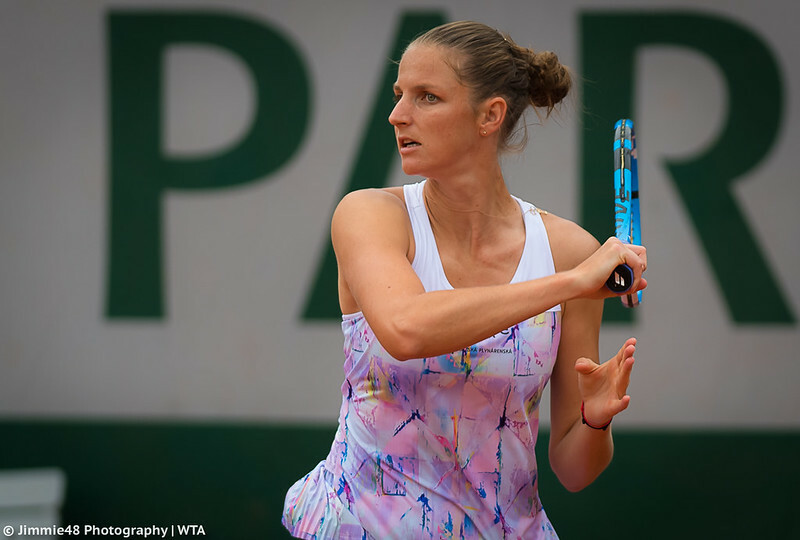 Karolina Pliskova, looking fresh in her soft lilac Fila outfit, won an all-Czech battle against Barbora Krejcikova, while Caroline Wozniacki defeated Danielle Collins. 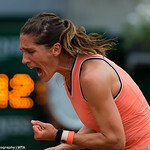 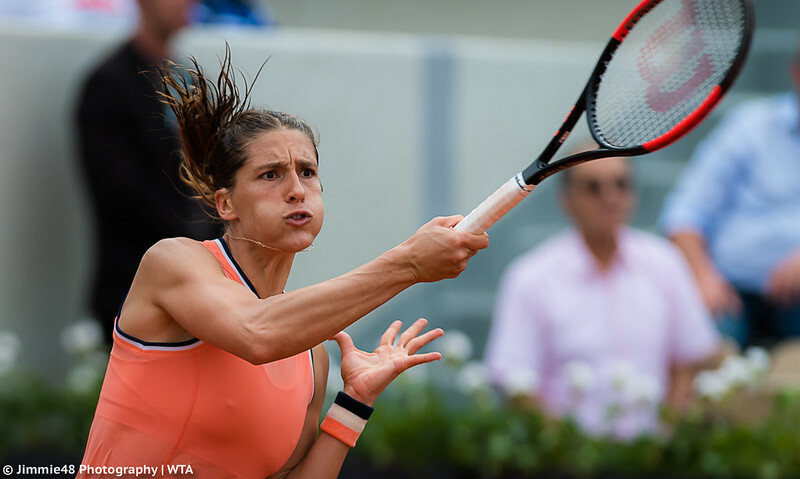 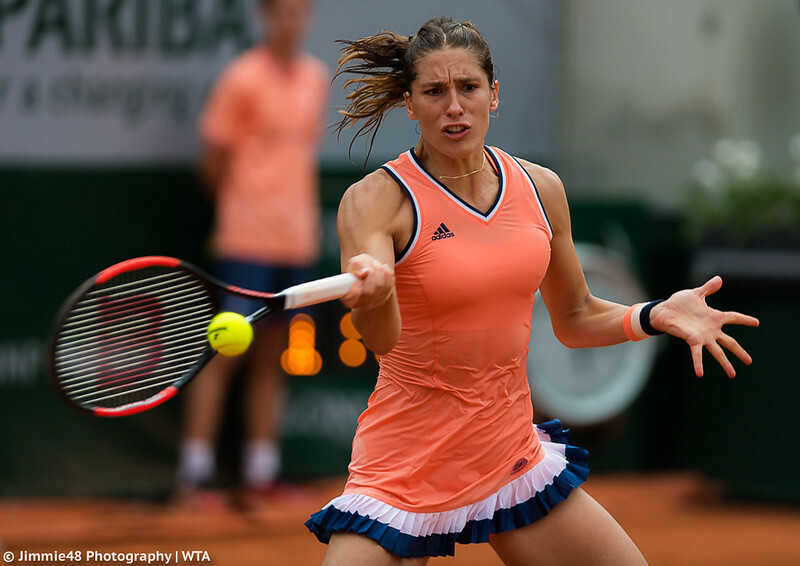 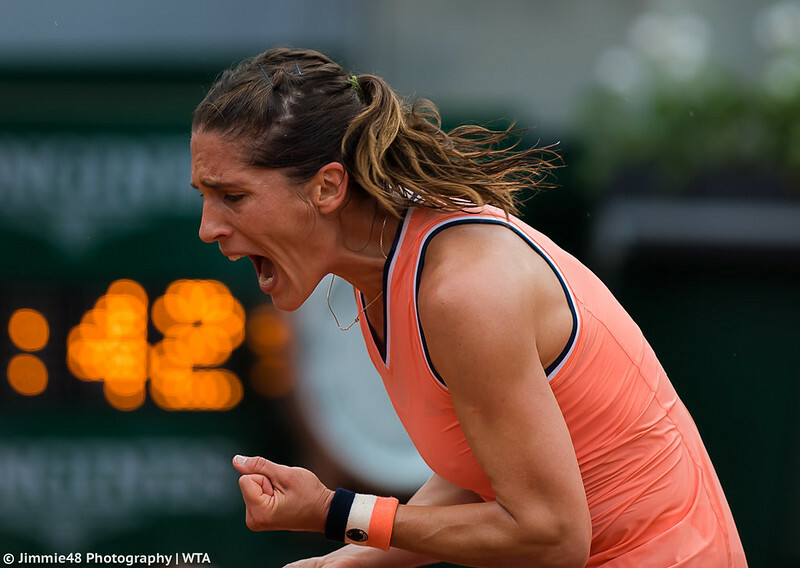 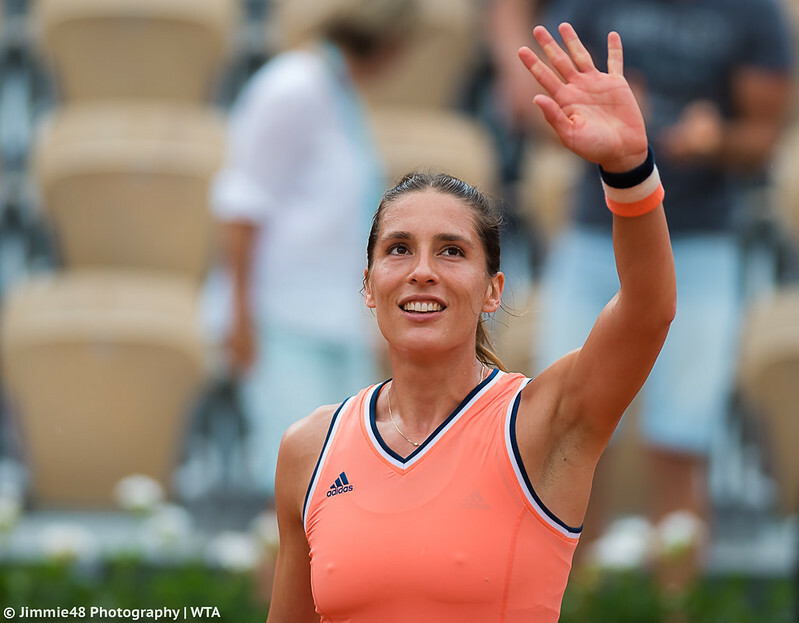 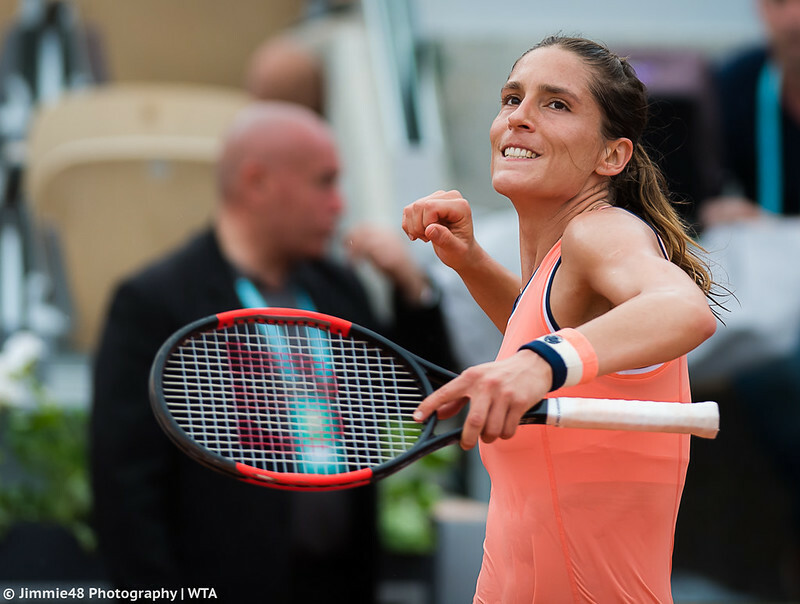 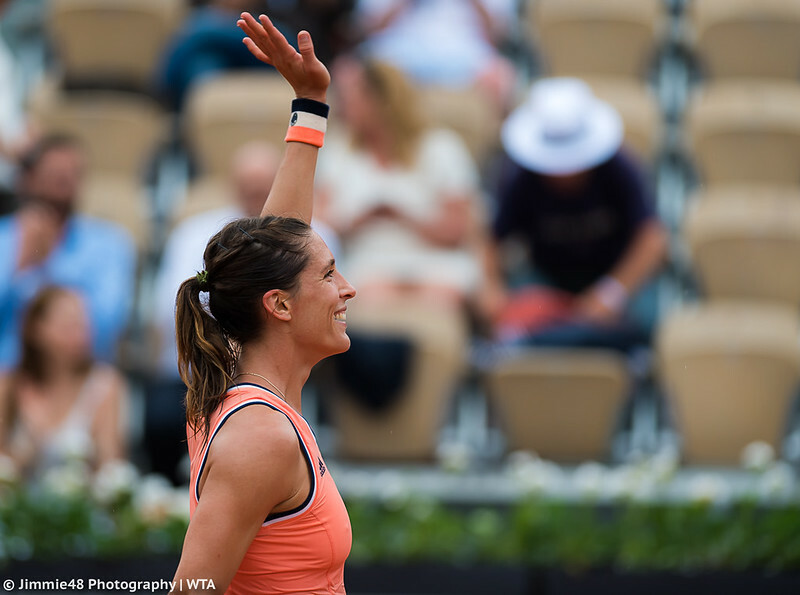 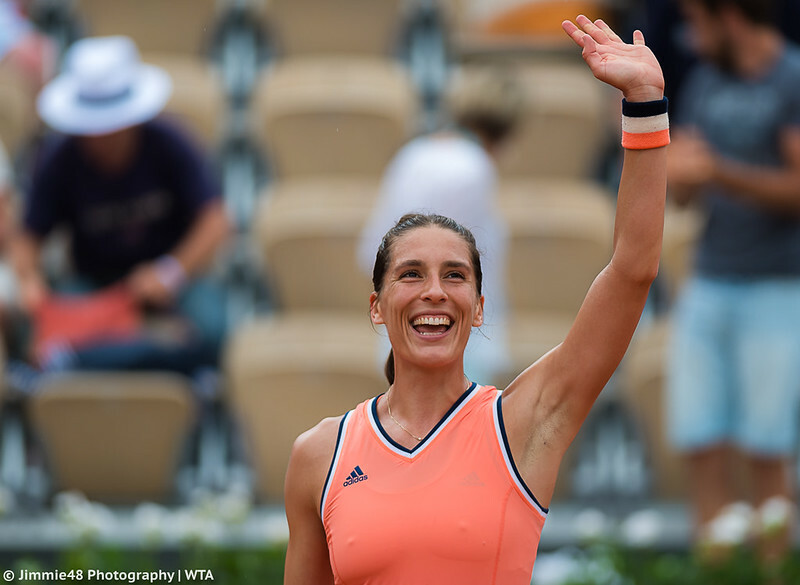 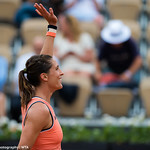 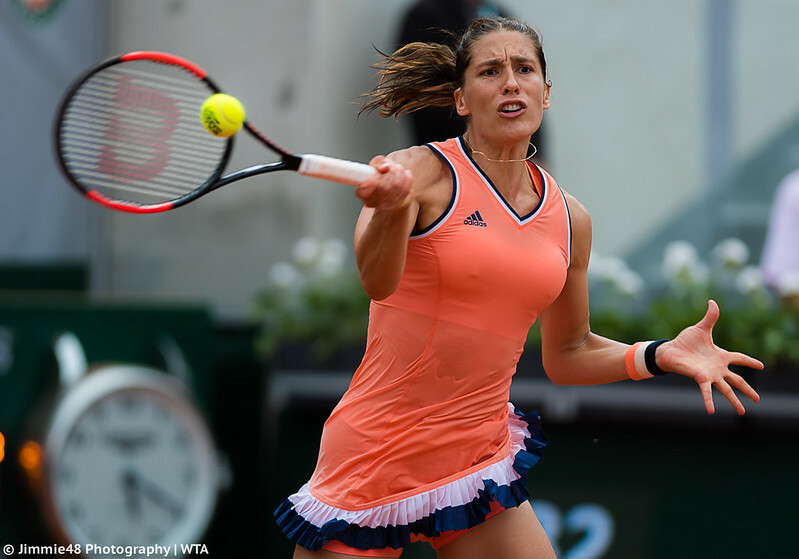 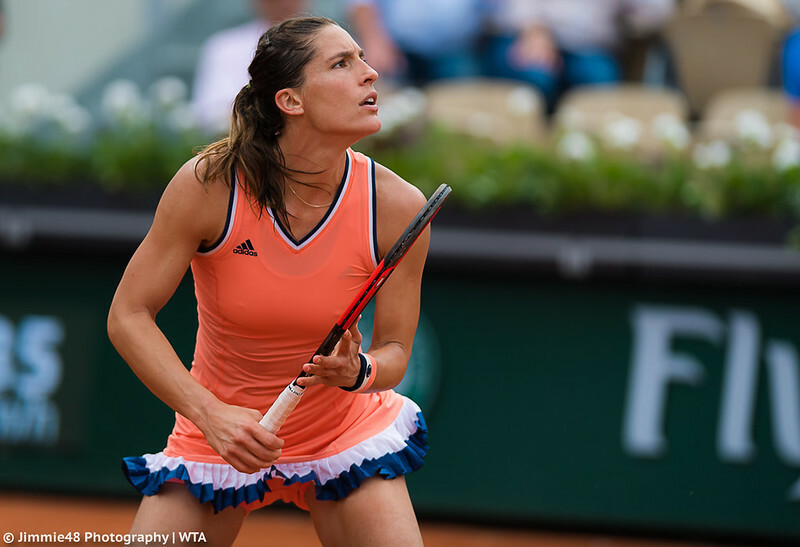 My favorite photos are those of Andrea Petkovic‘s fifth consecutive victory over Kristina Mladenovic, as the German, now ranked outside of the Top 100, left the audience silent after upsetting the 29th-seeded home favorite. 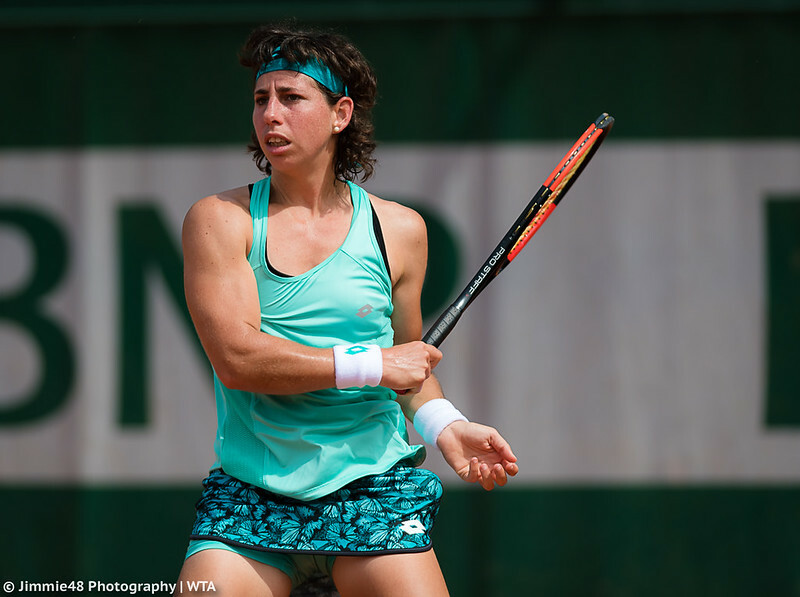 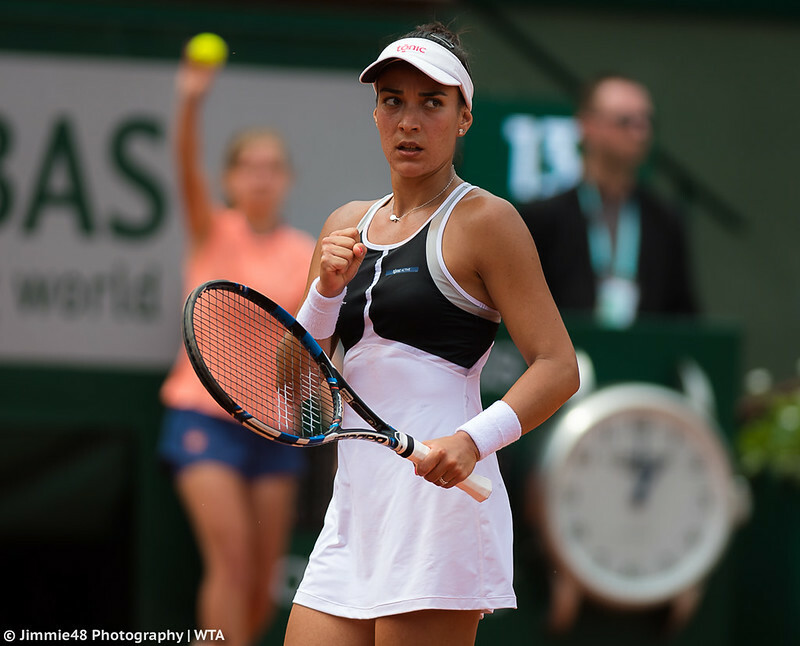 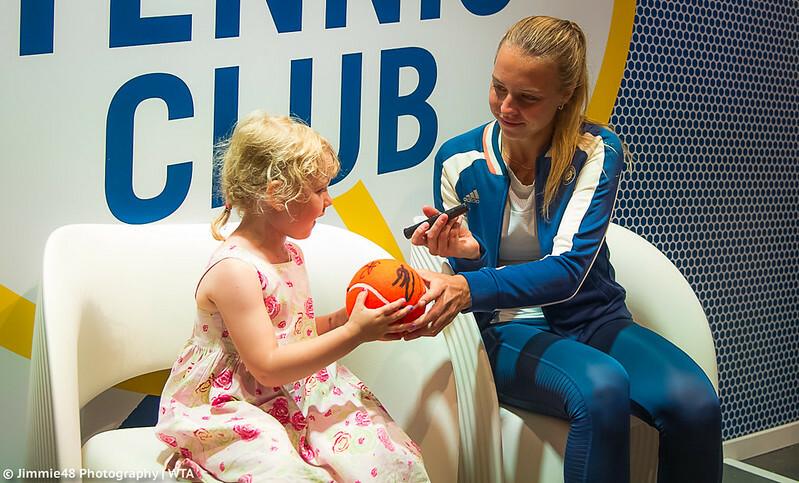 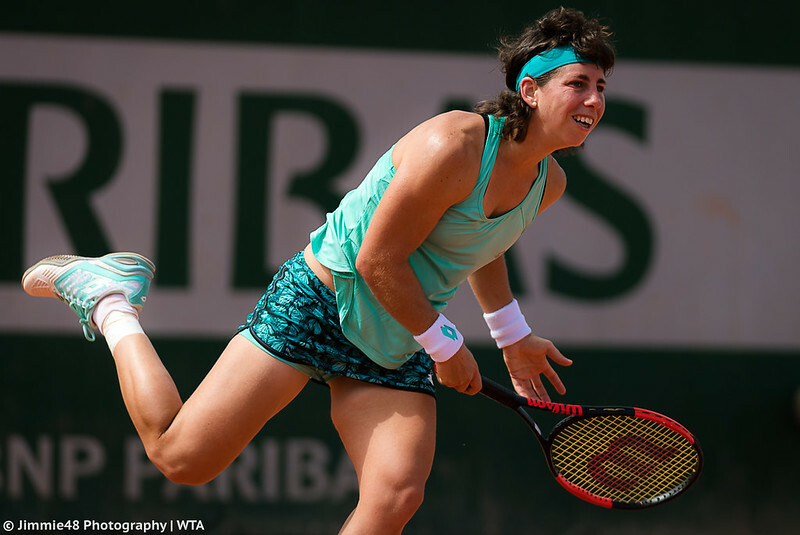 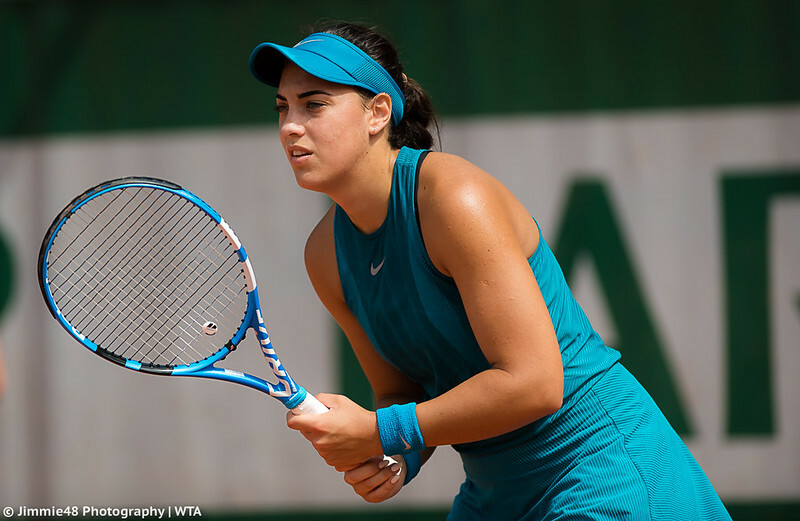 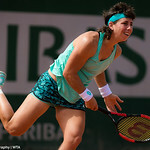 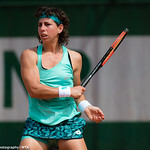 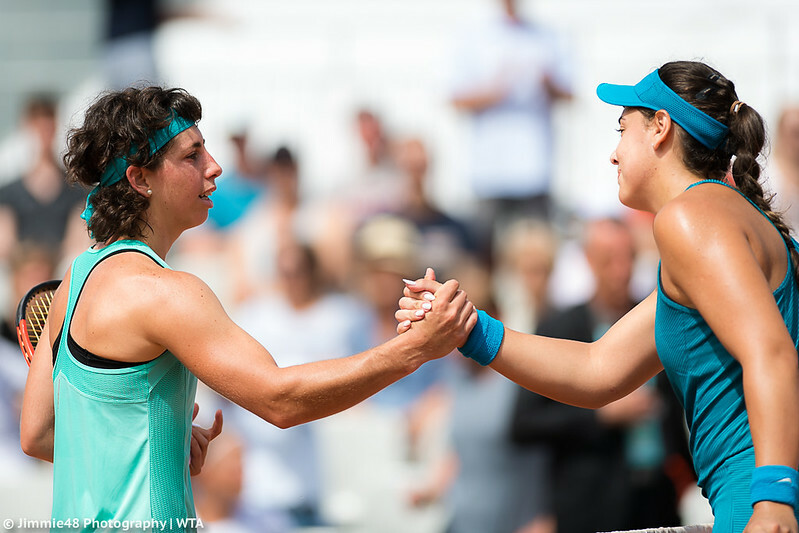 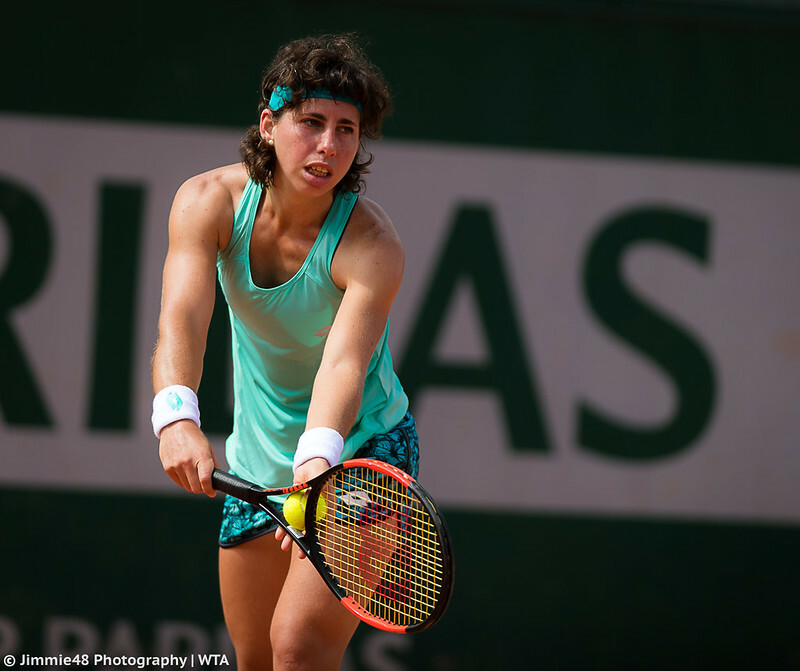 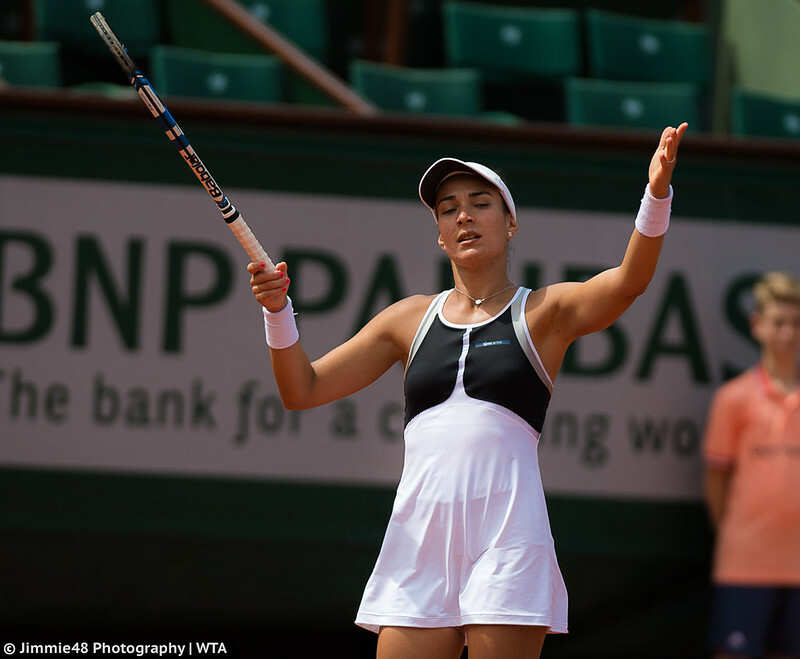 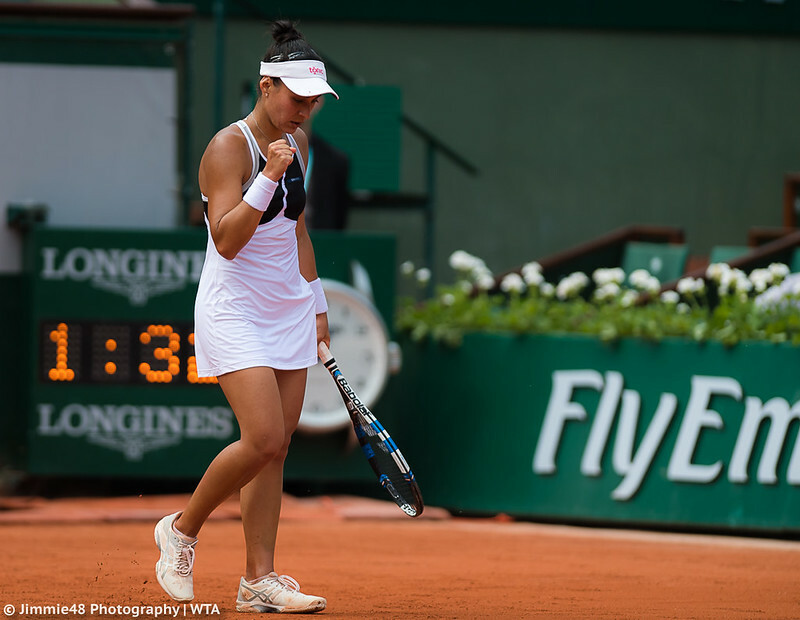 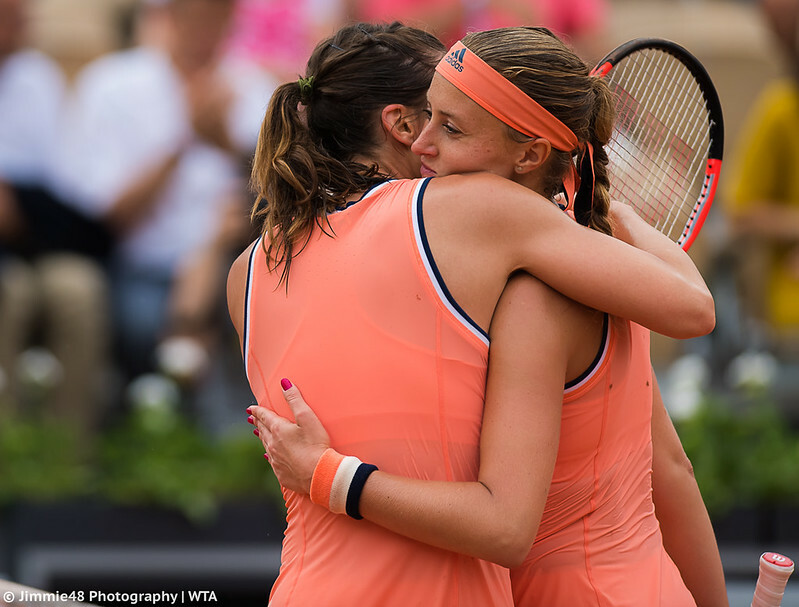 I usually don’t prefer when players wear the same outfits, but here I liked the fact that both wore the orange Adidas Roland Garros Dress as it made for perfect net hug pics.